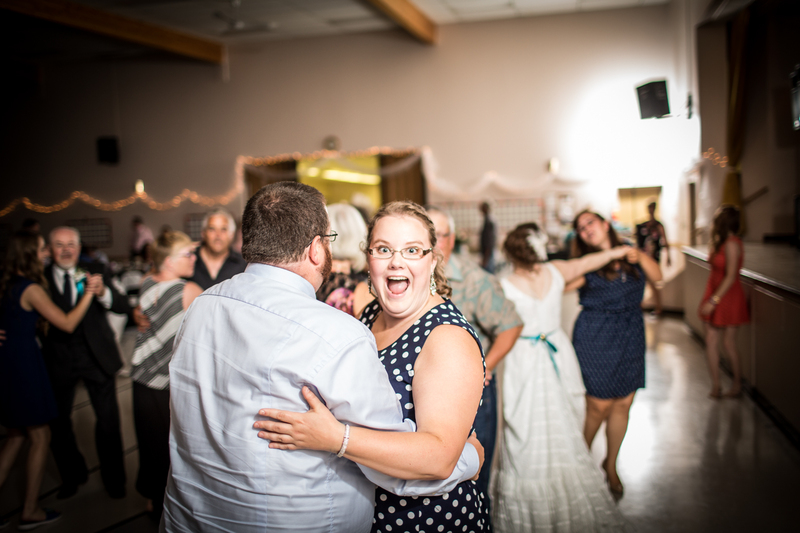 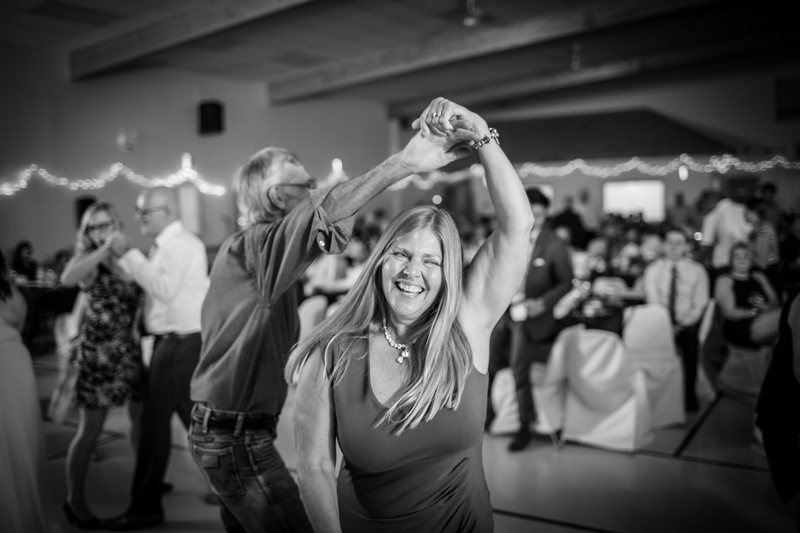 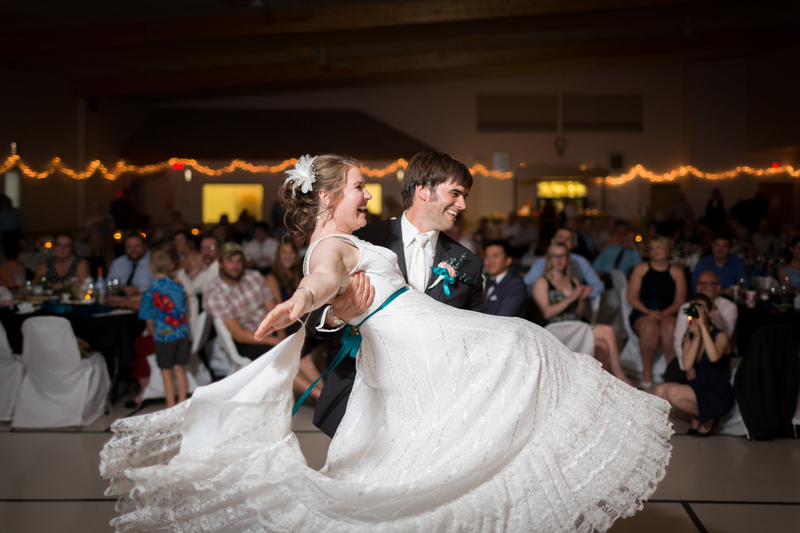 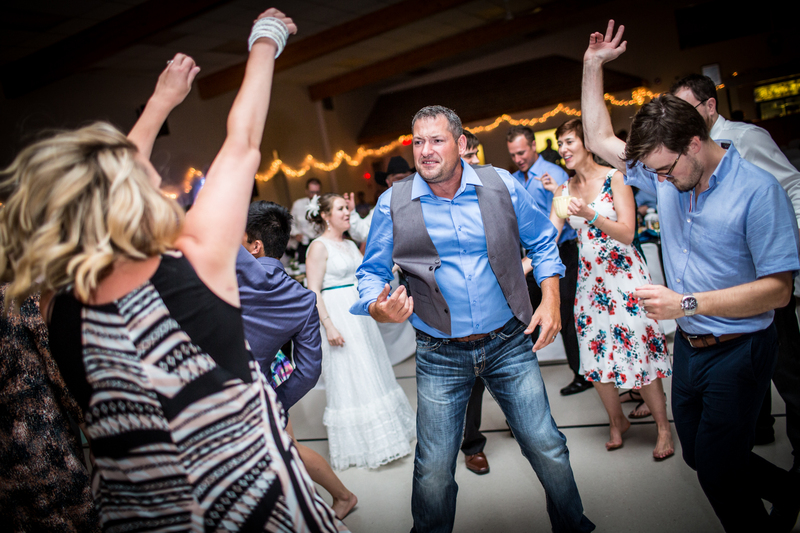 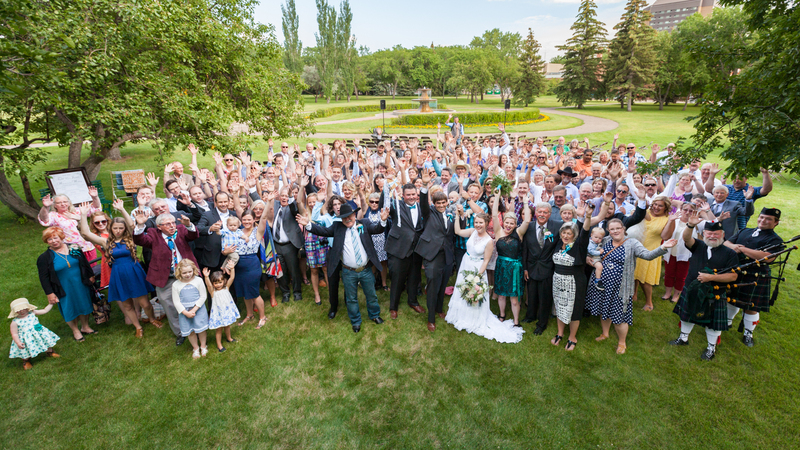 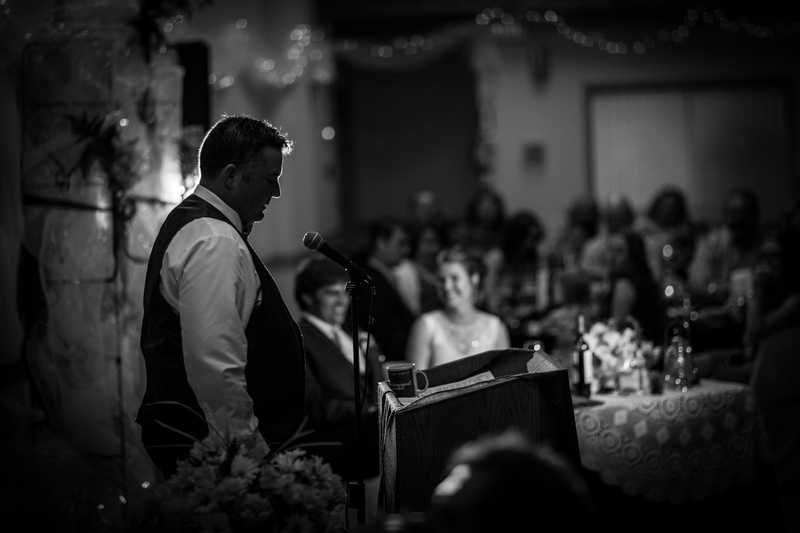 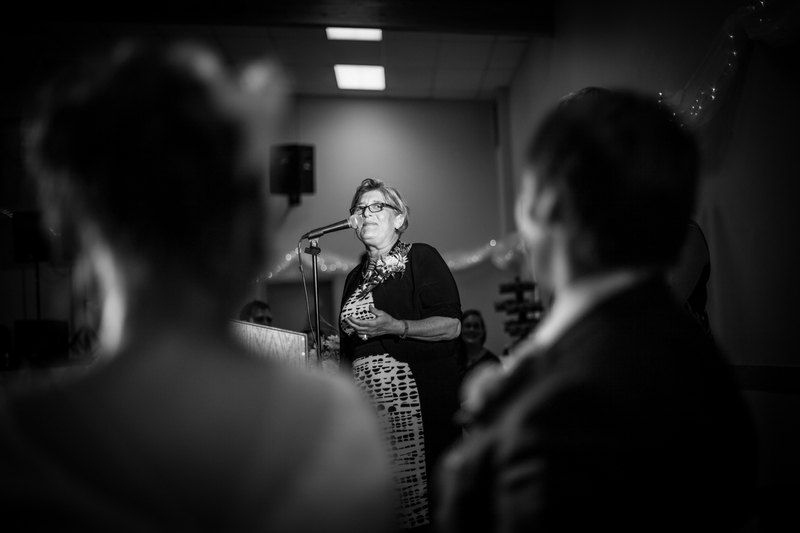 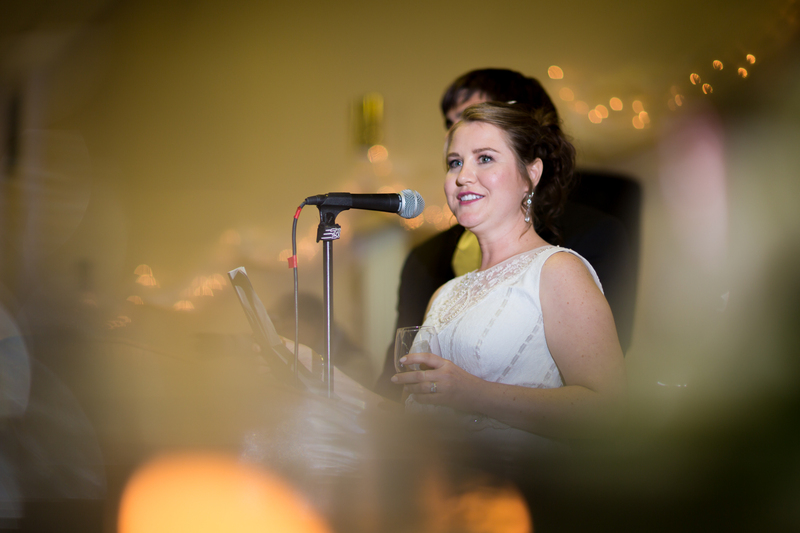 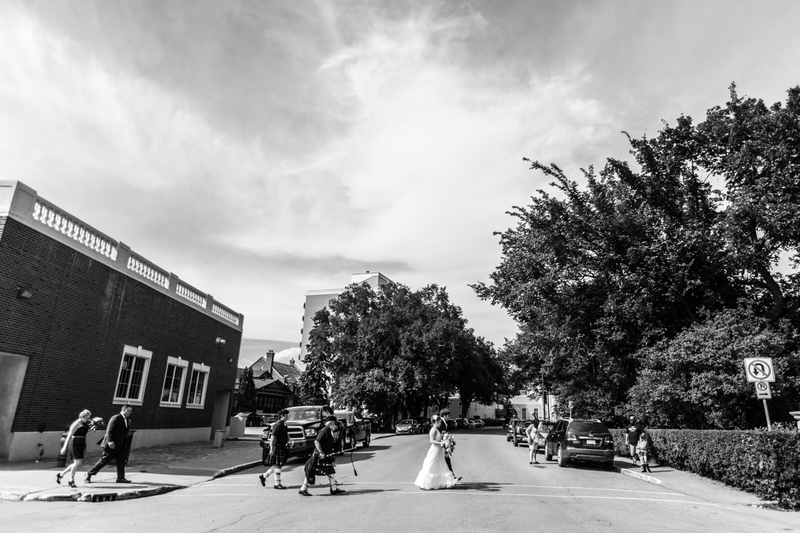 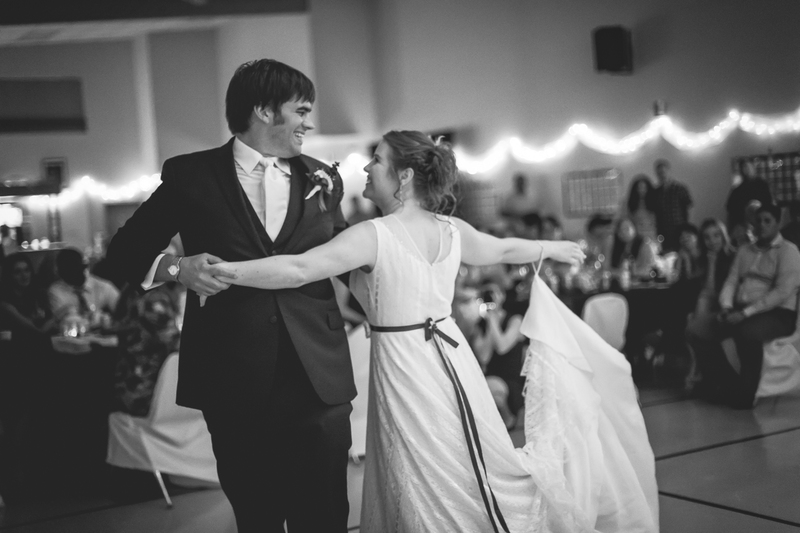 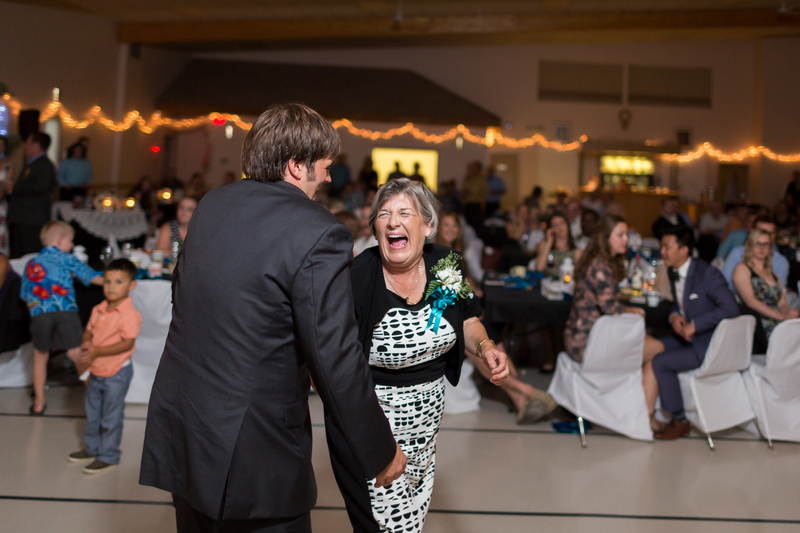 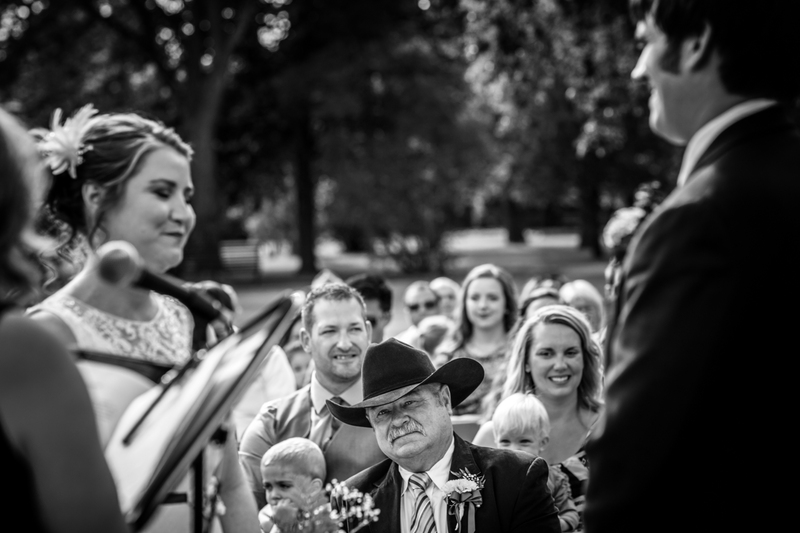 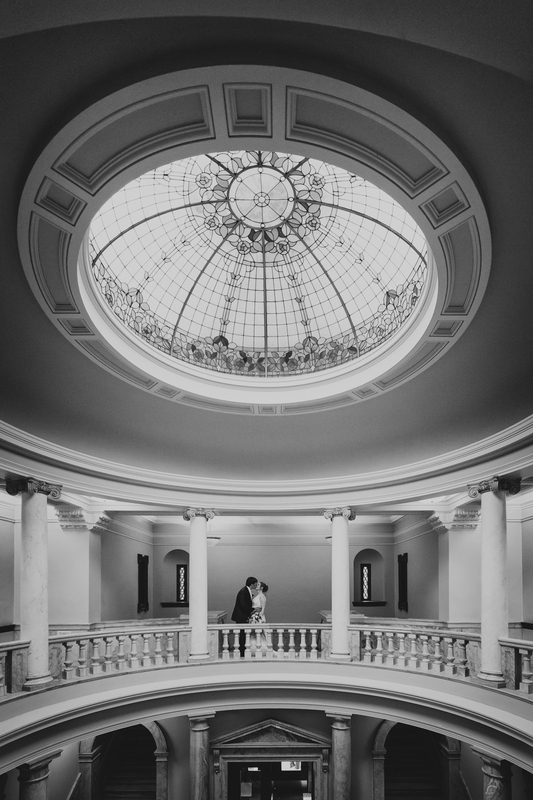 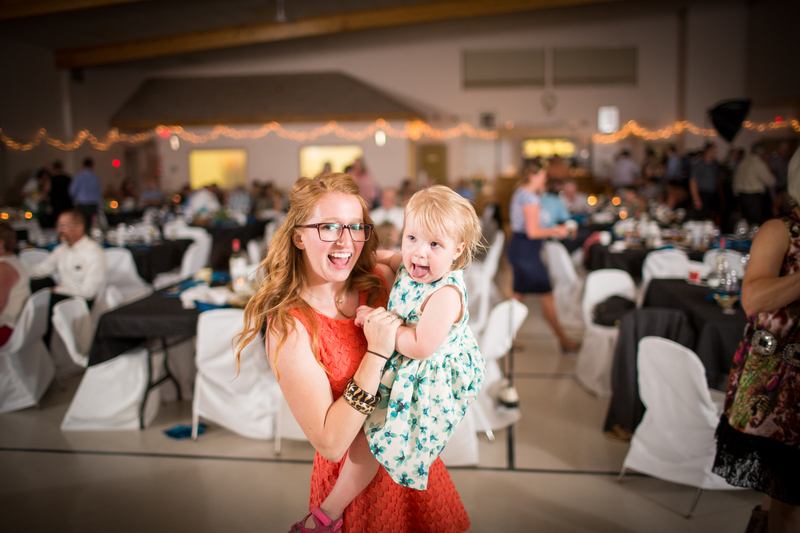 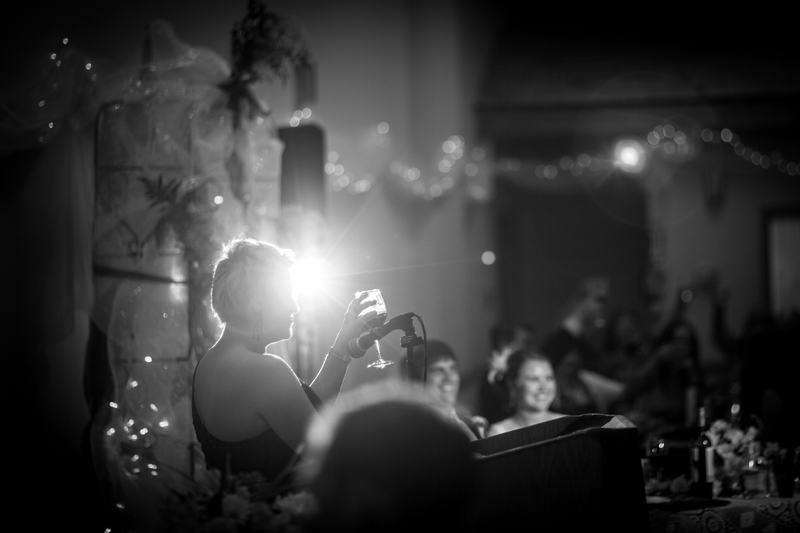 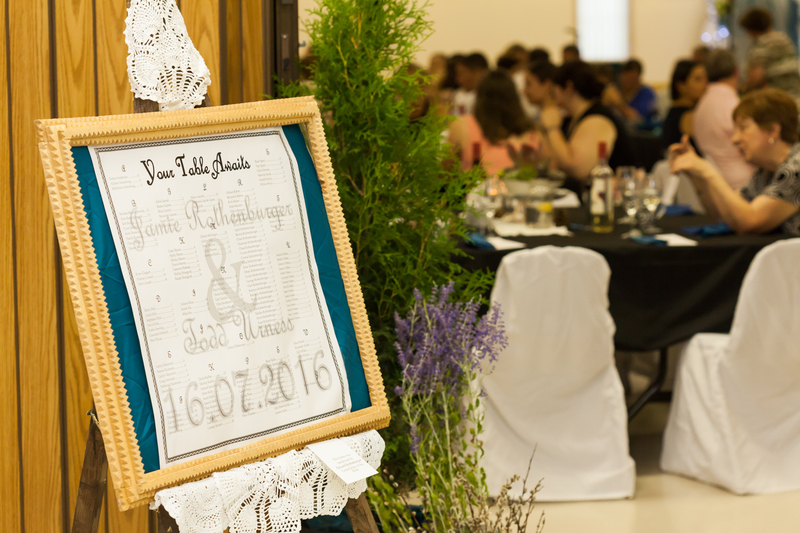 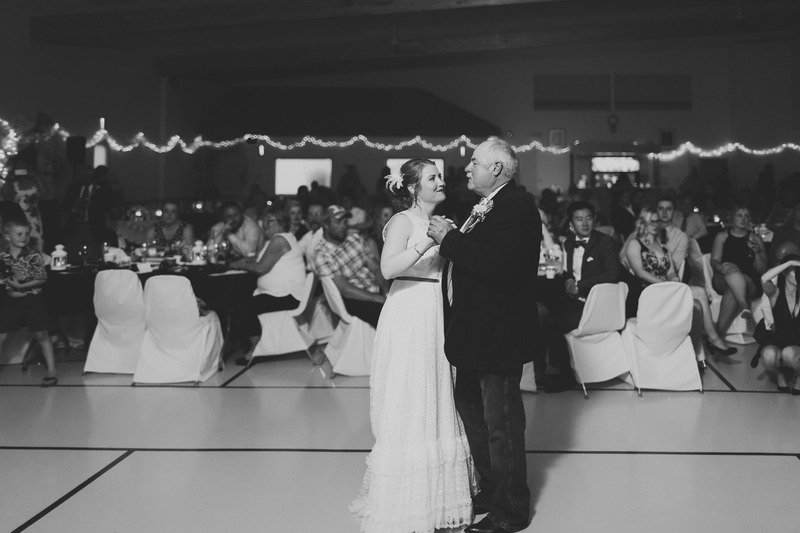 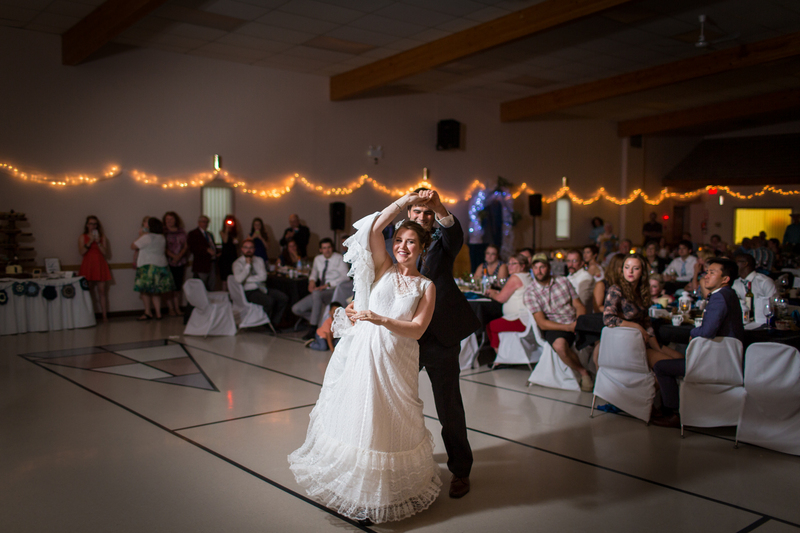 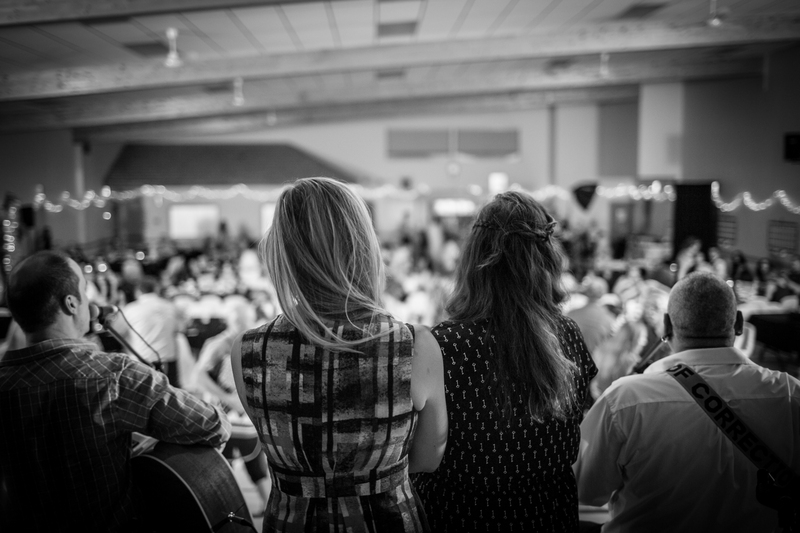 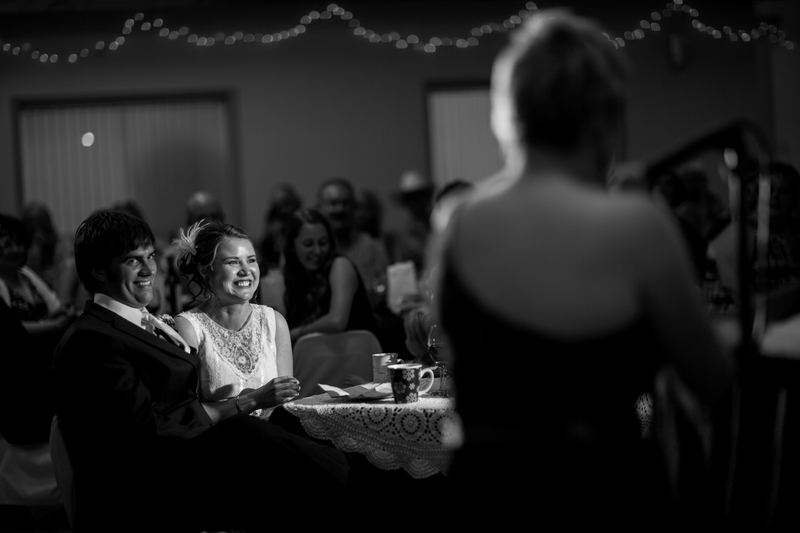 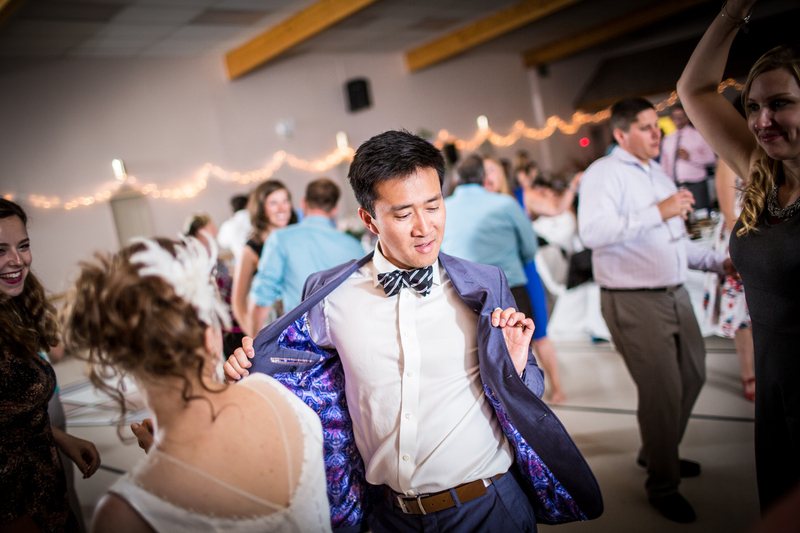 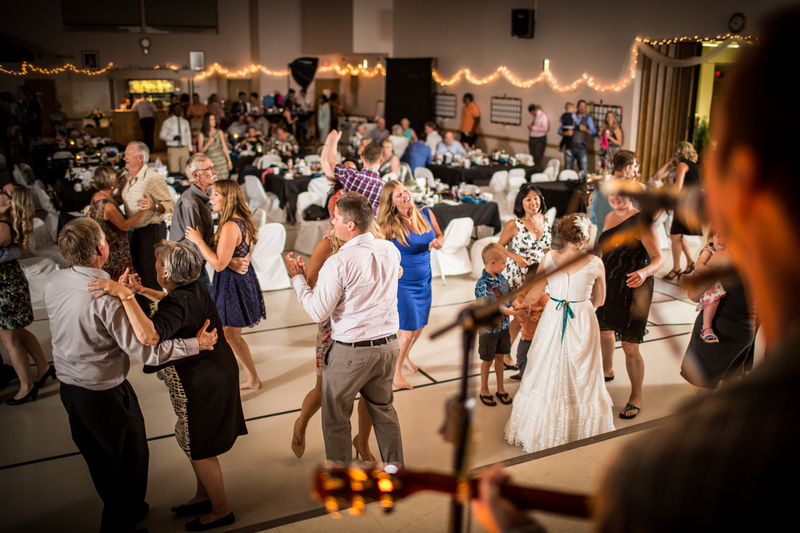 Jamie and Todd’s beautiful Moose Jaw wedding brought together nearly 200 family and friends from all across Canada to celebrate and two-step the night away. 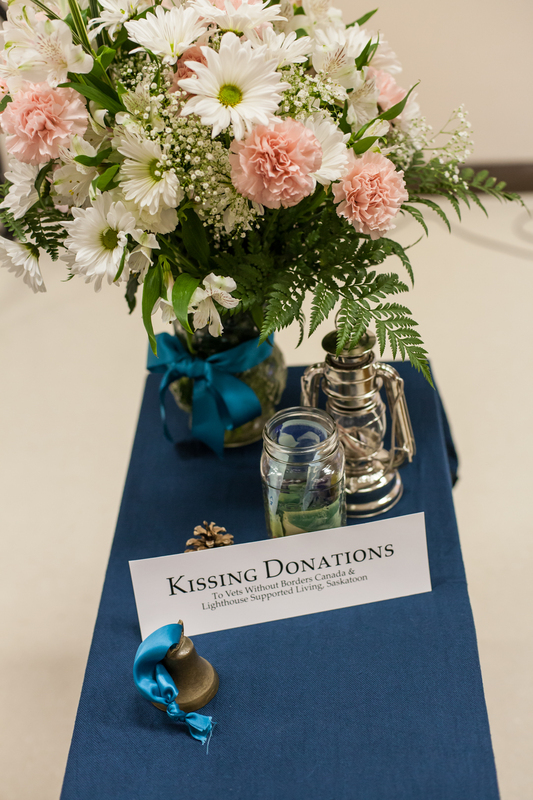 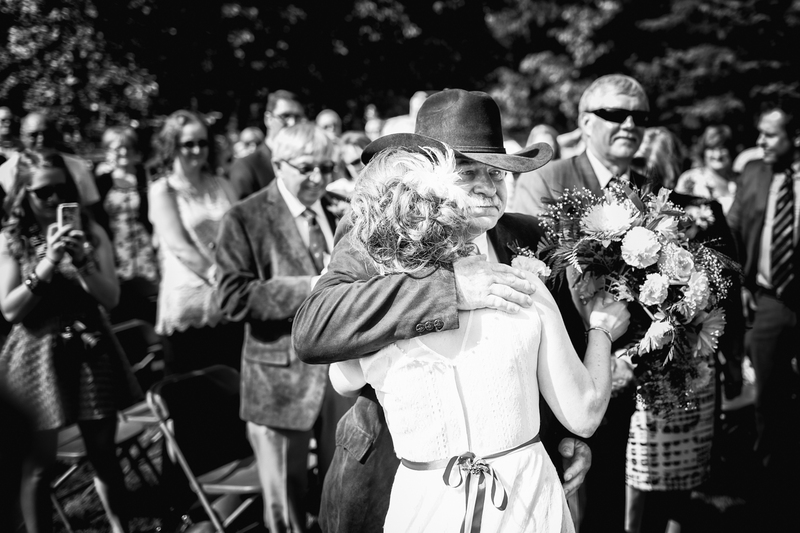 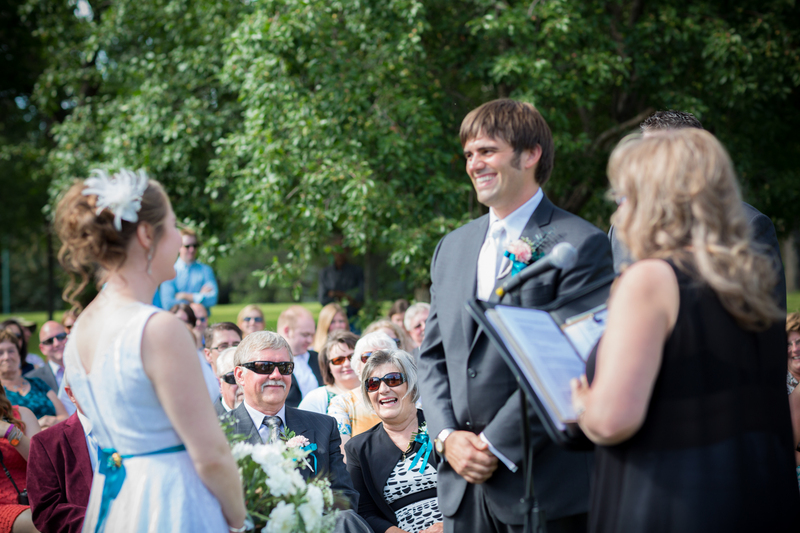 We are fortunate enough to meet a lot of amazing couples and their supportive families through the years. 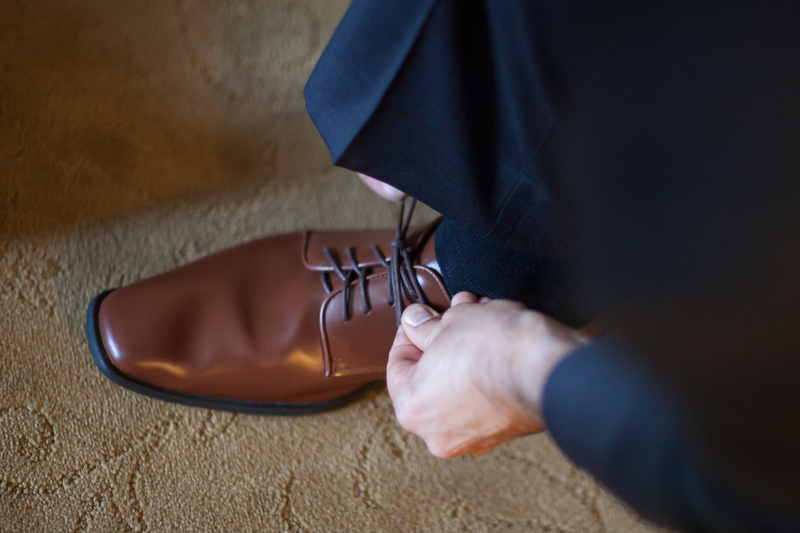 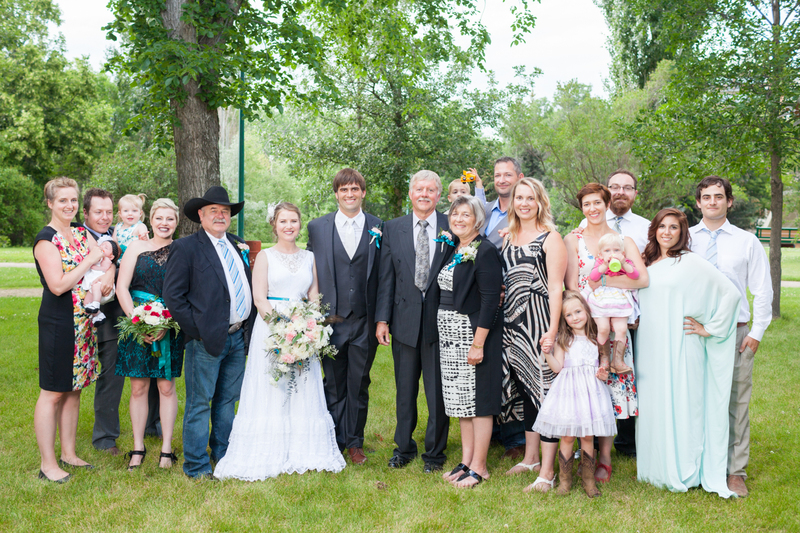 Jamie and Todd’s wedding was just a bit closer to our own hearts. 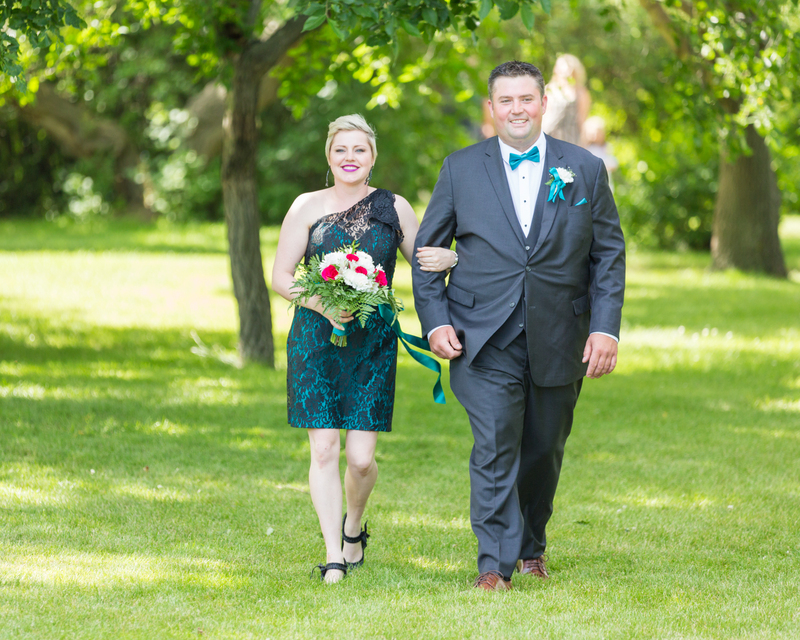 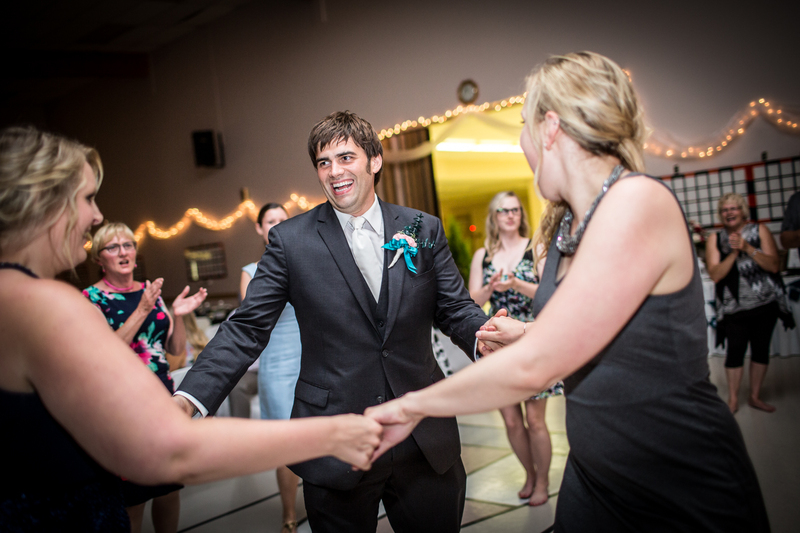 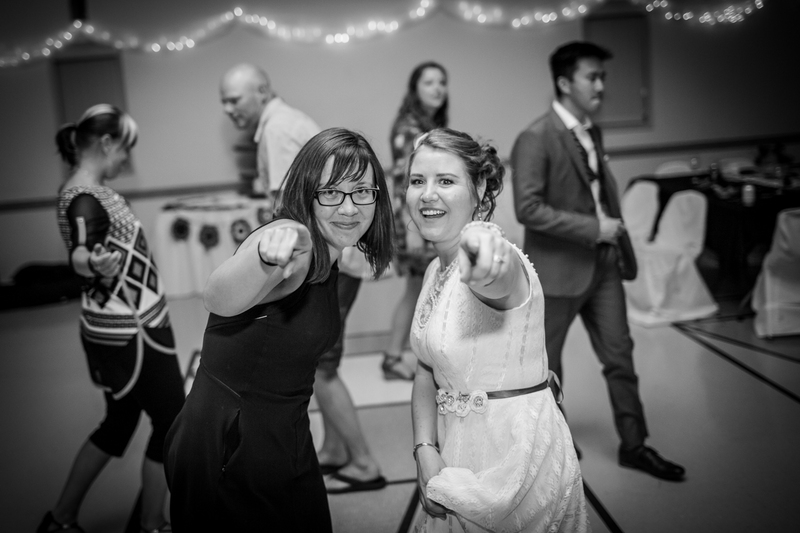 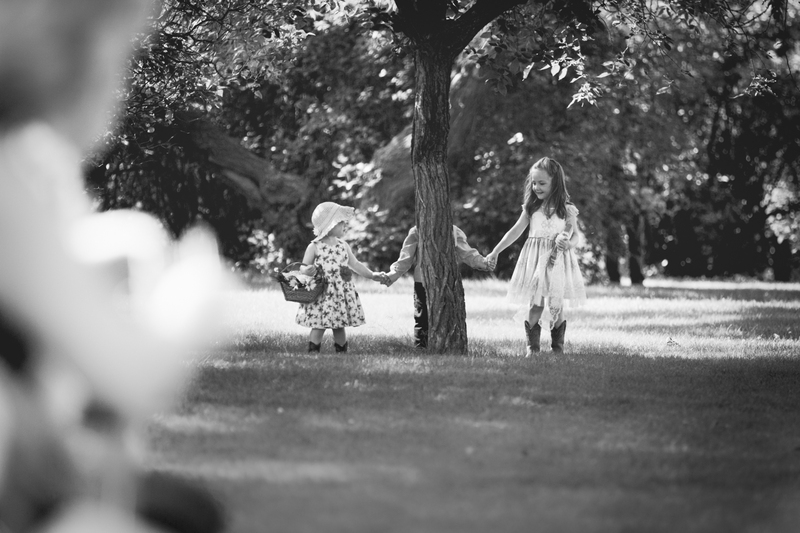 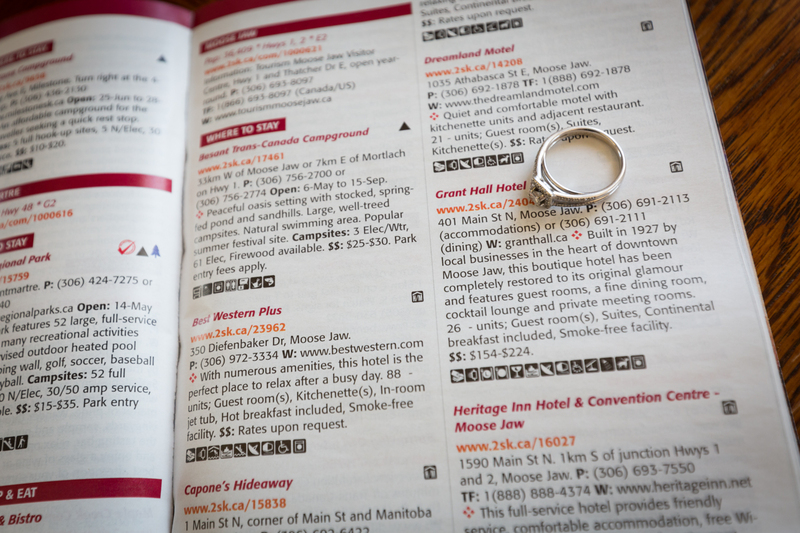 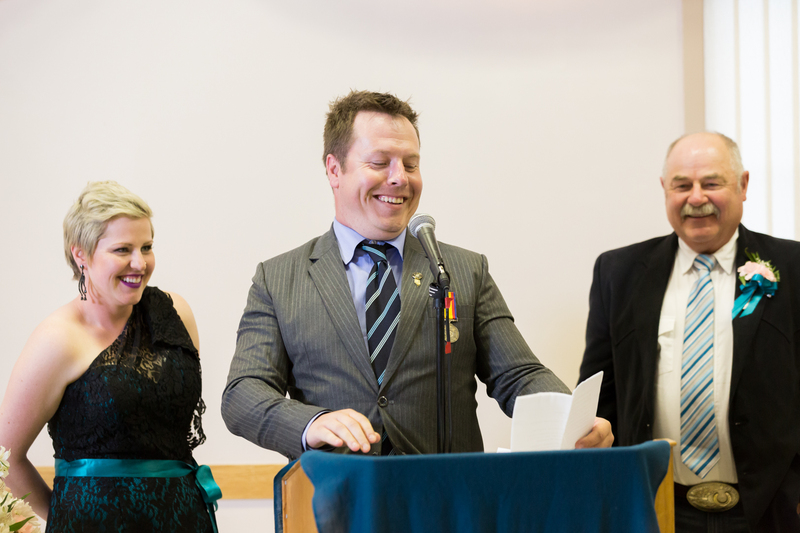 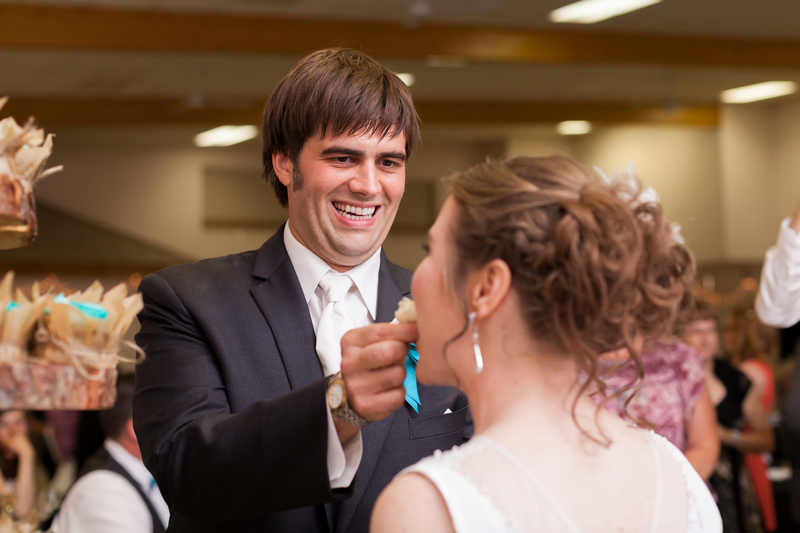 Jamie and Jess met each other back in 2003 while moving into the University of Alberta’s student residence. 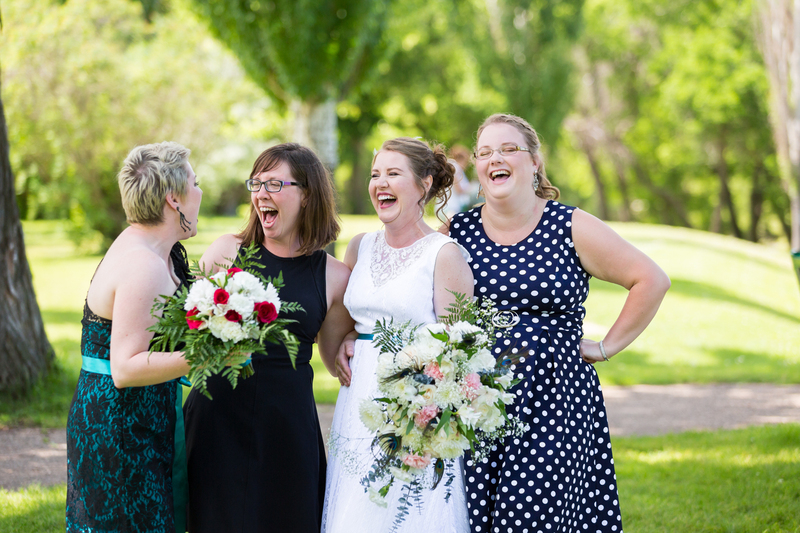 Thirteen years of friendship, road trips, ridiculous inside jokes, gallons of tea and finding true love. 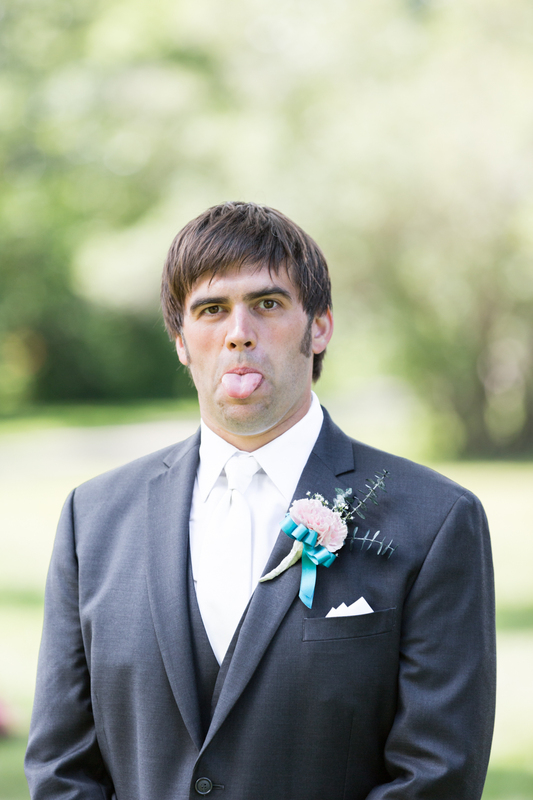 Todd is not what you would expect from an engineer. 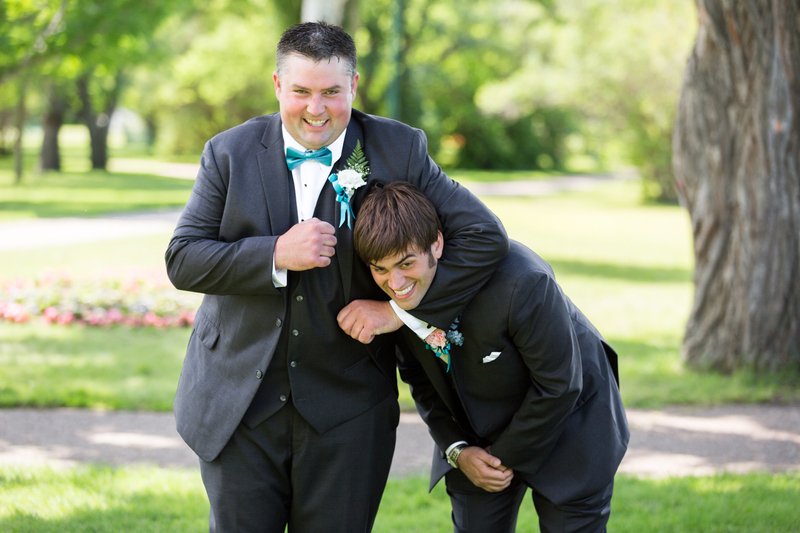 He is goofy, charming and has one of those laughs that can get the whole room roaring. 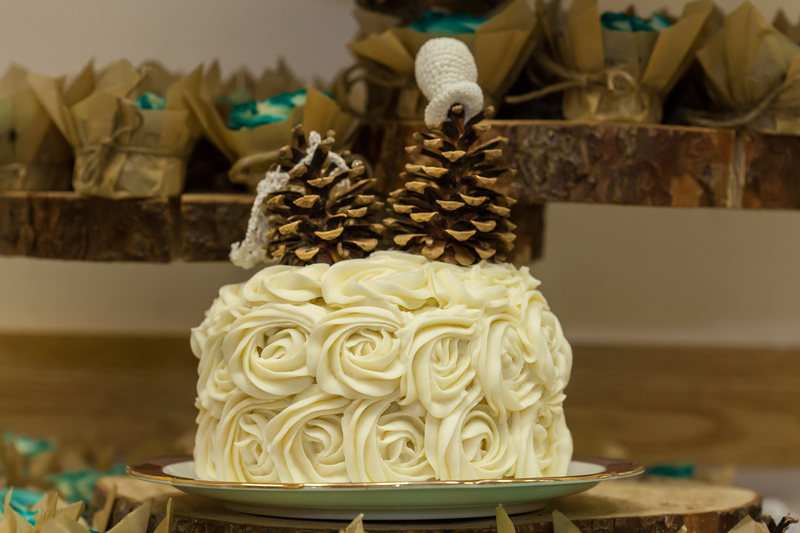 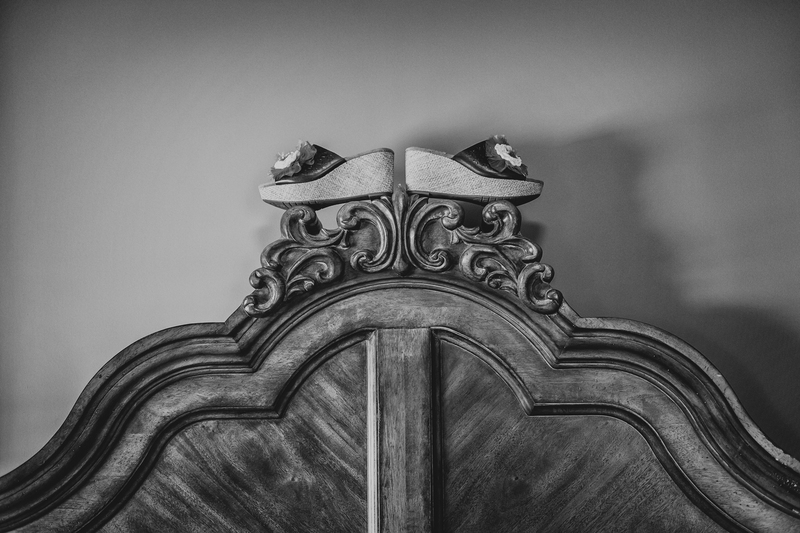 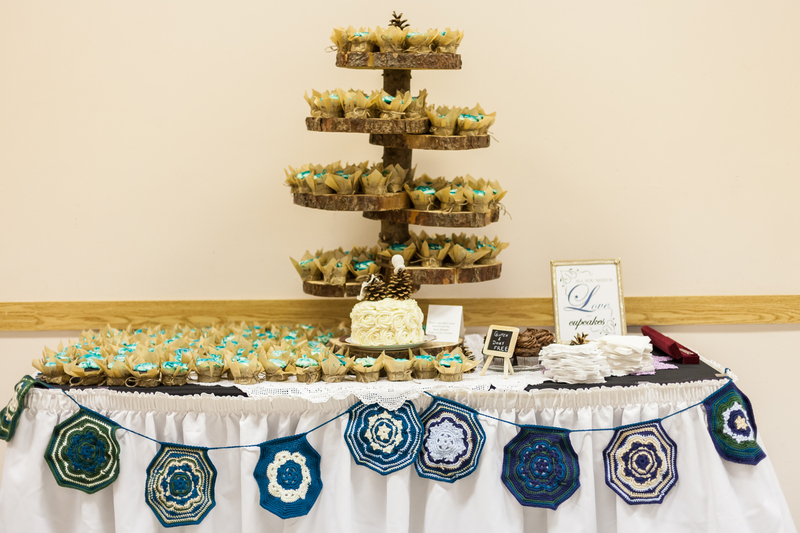 He is also very skilled at building things – which allowed for Jamie’s wedding decor dreams to become reality. 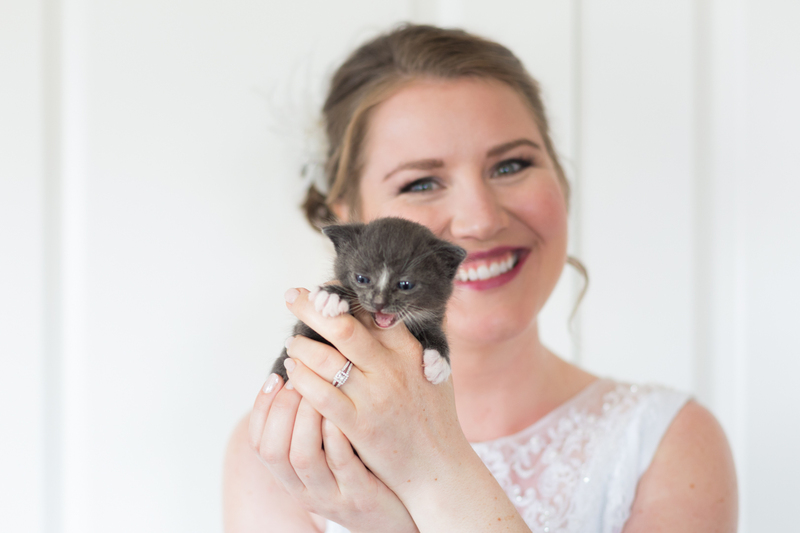 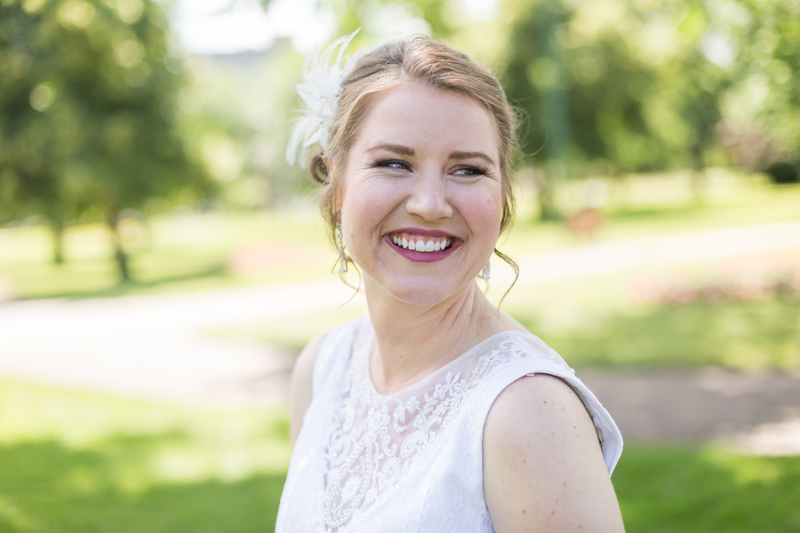 Jamie is an old soul, she loves animals (she holds a Doctorate in Veterinary Medicine), loves to crochet, to read, to plant gardens and to cherish memories. 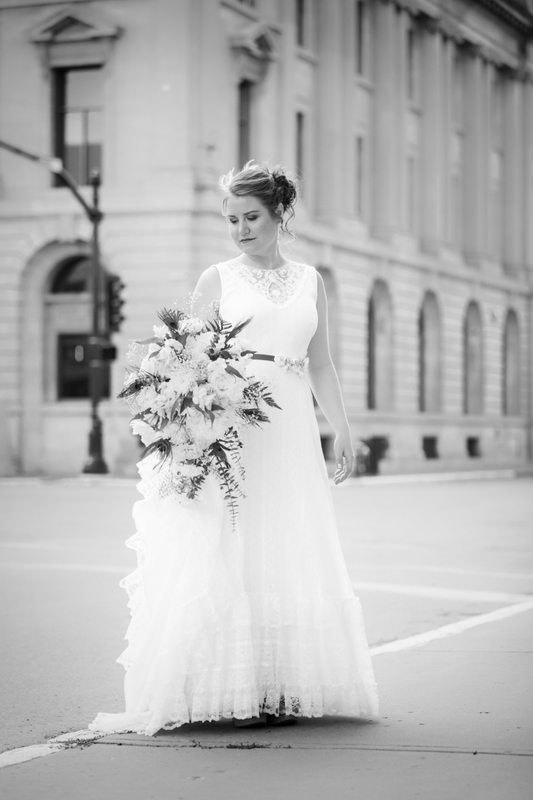 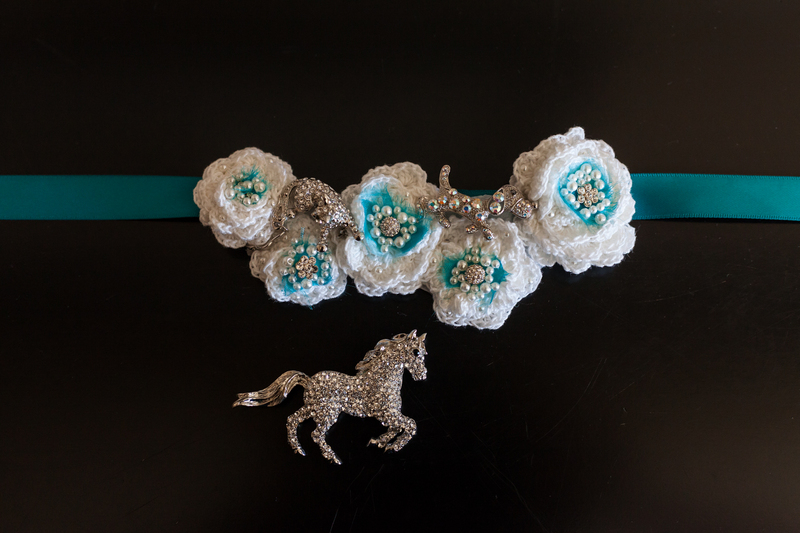 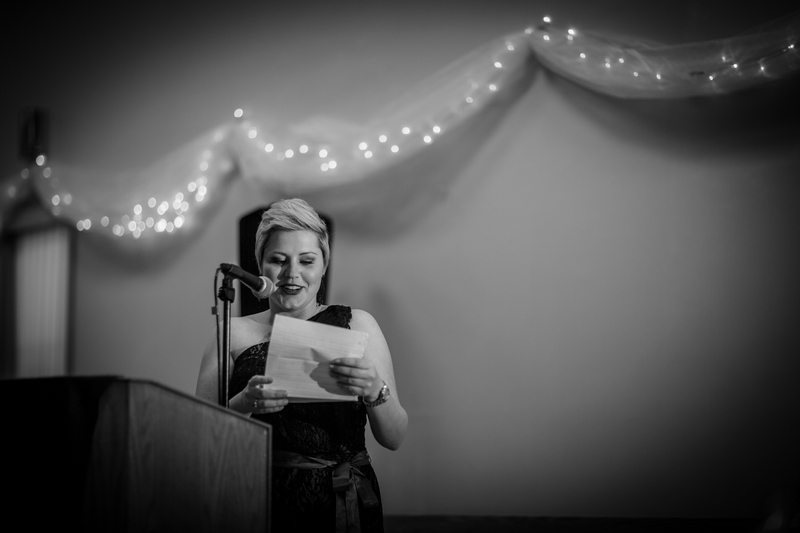 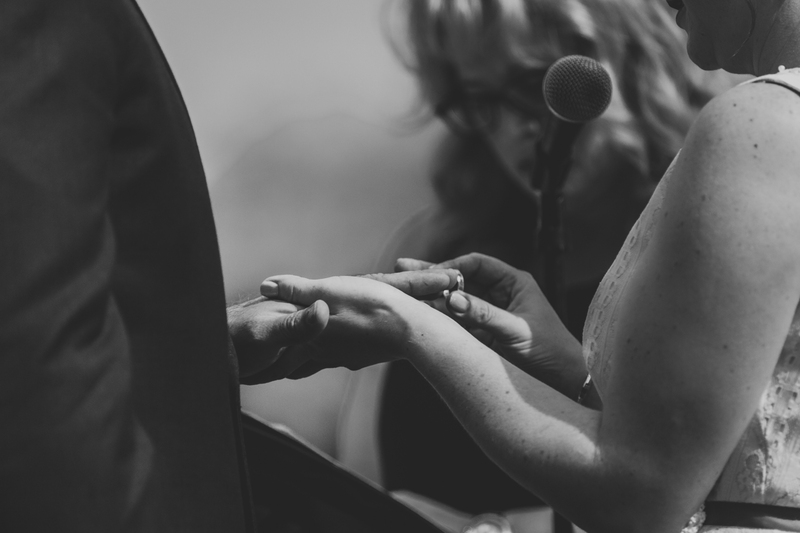 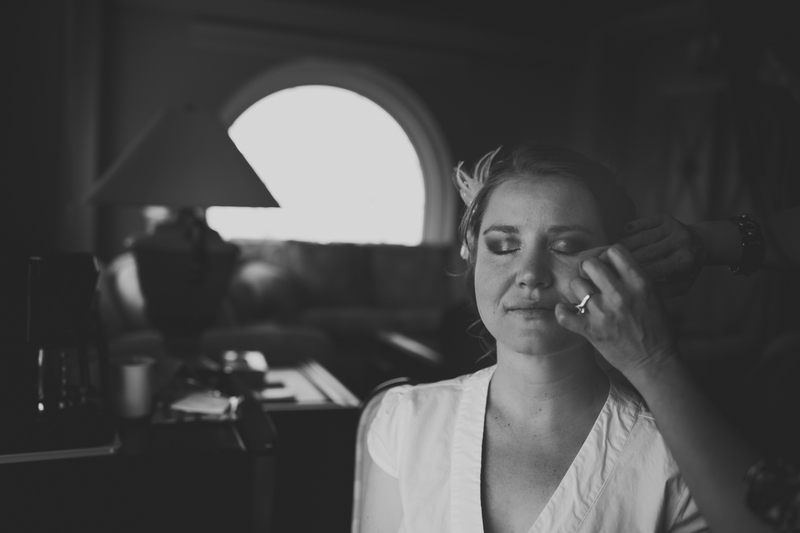 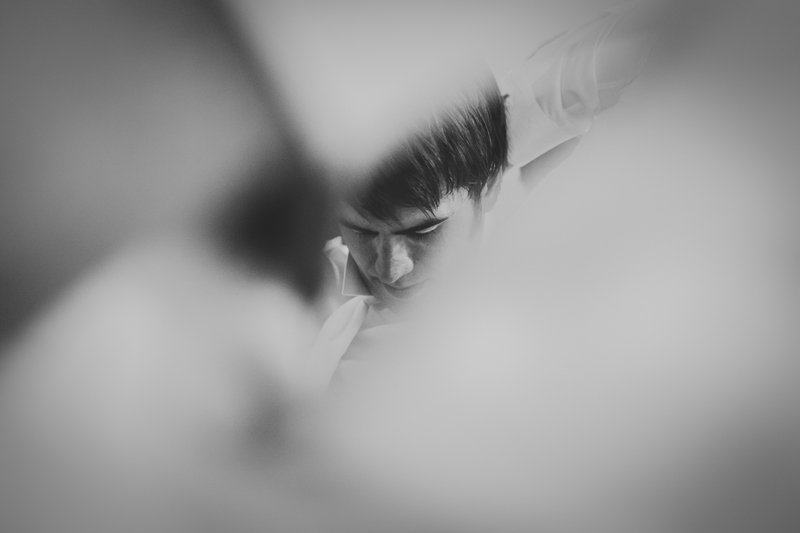 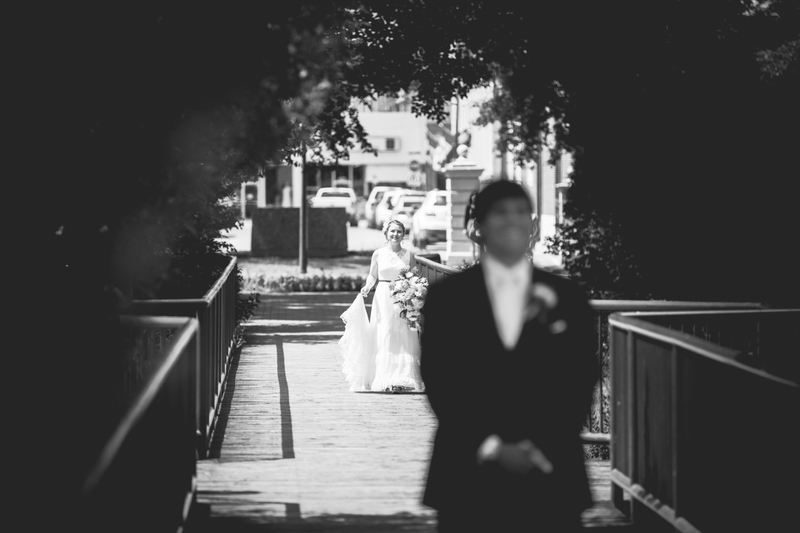 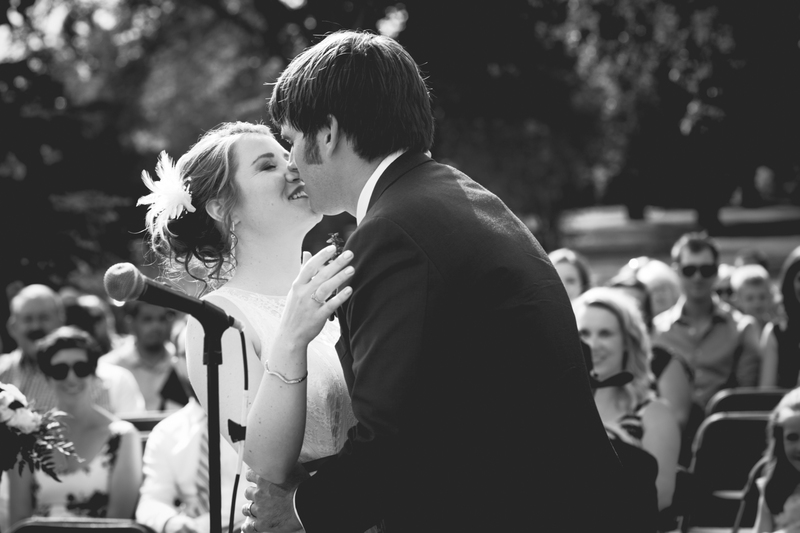 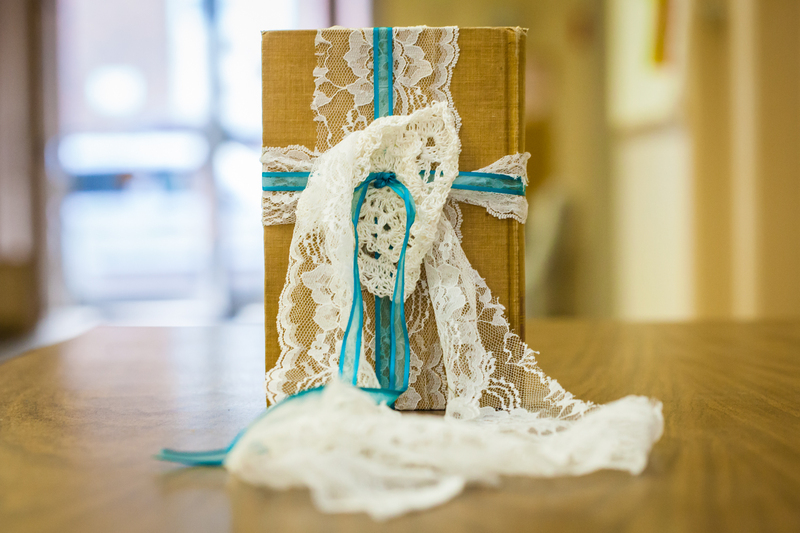 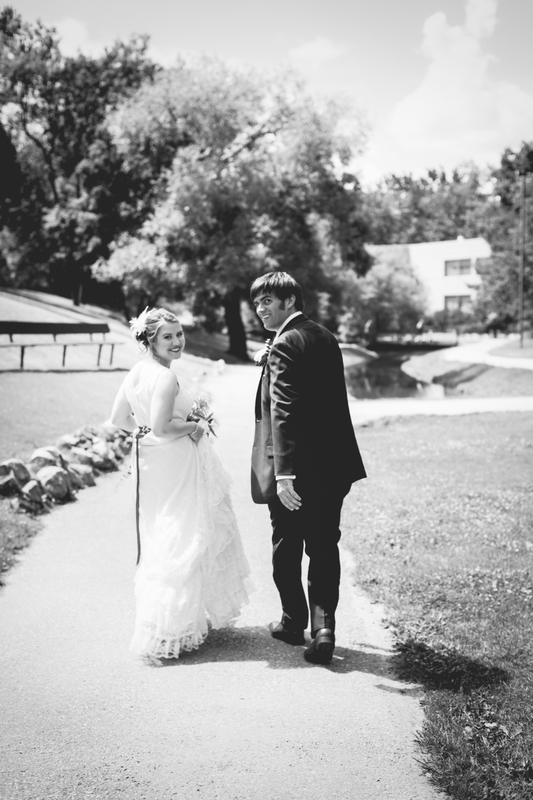 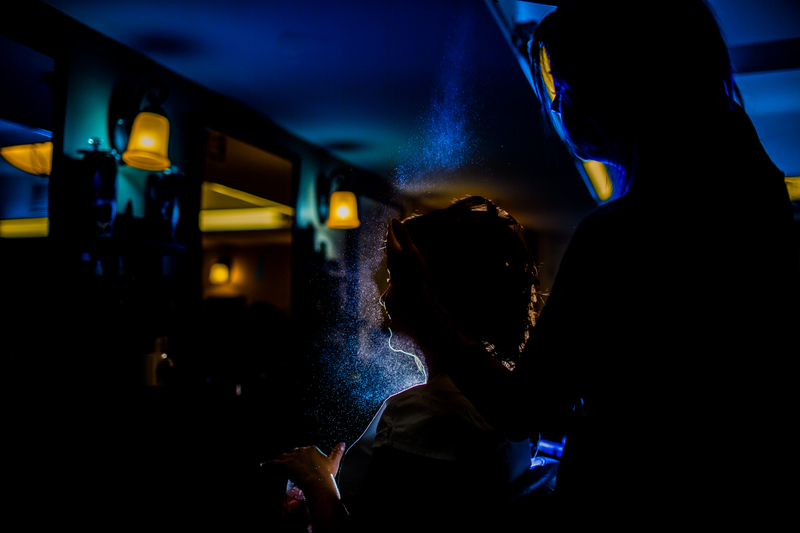 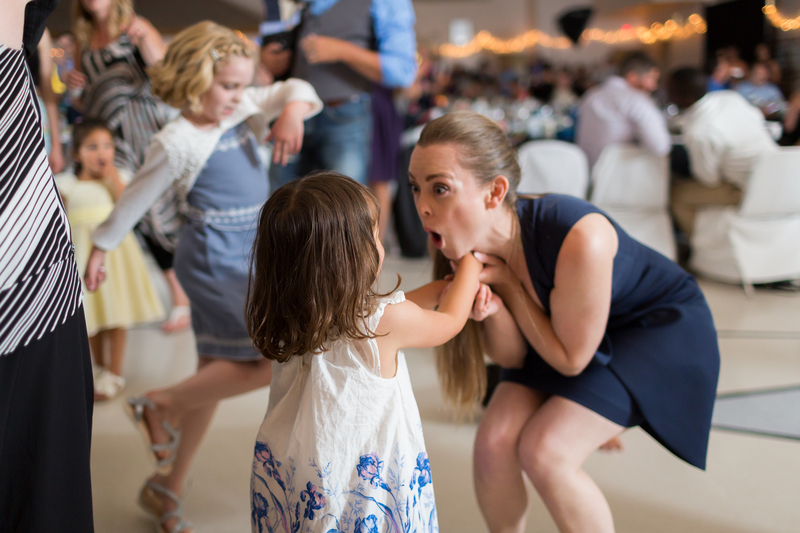 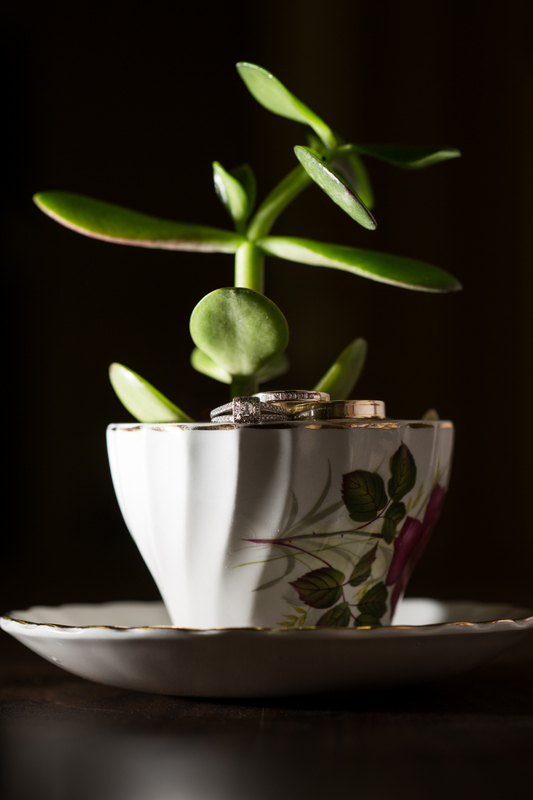 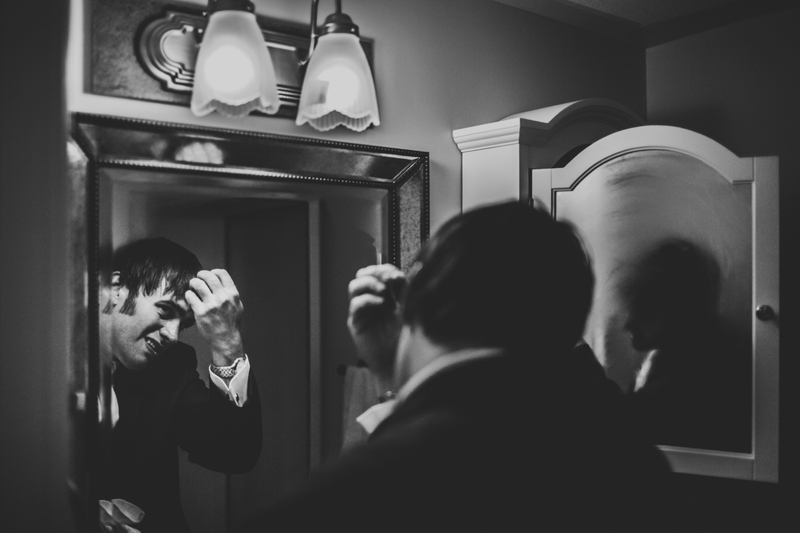 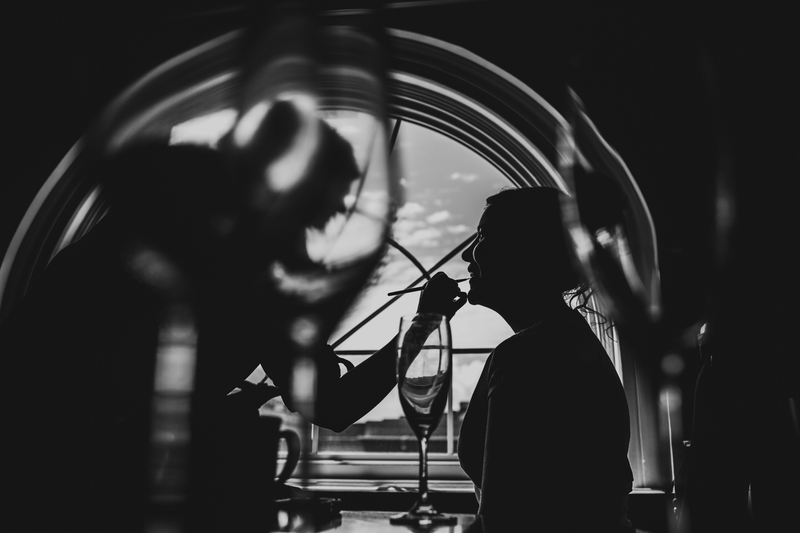 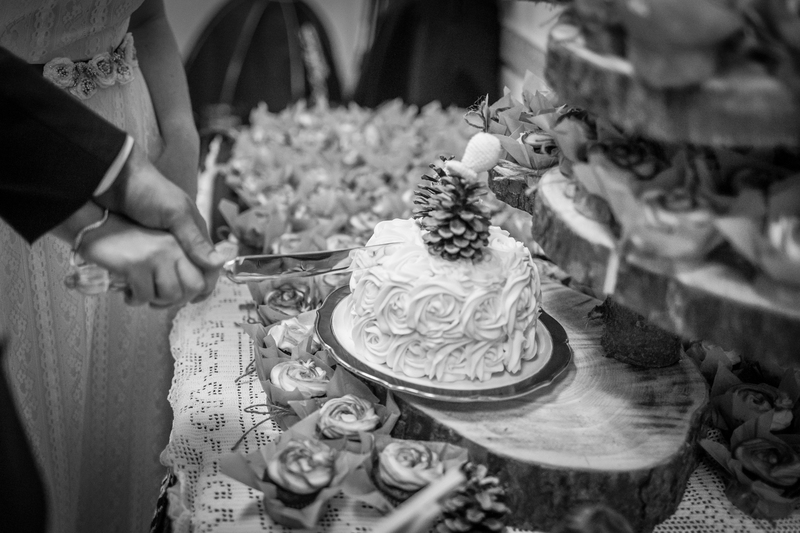 She worked these pieces of herself into every aspect of her wedding day. 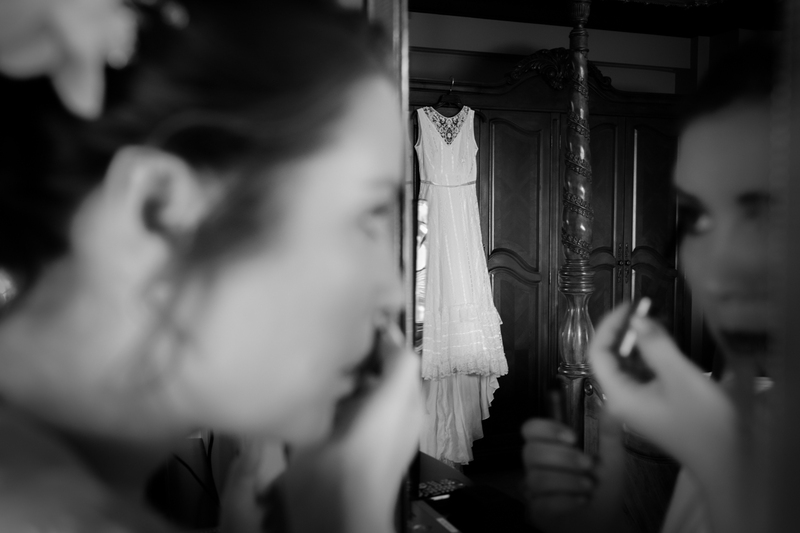 Jamie’s wedding gown was worn by her mother on her wedding day. 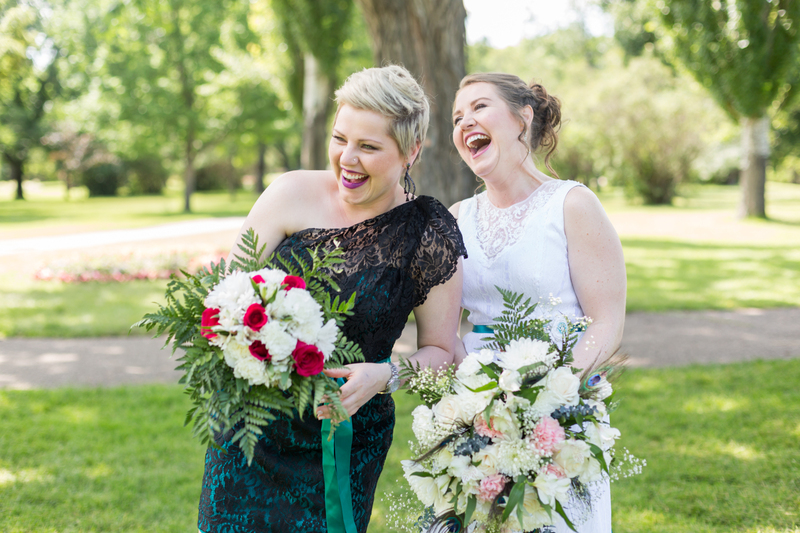 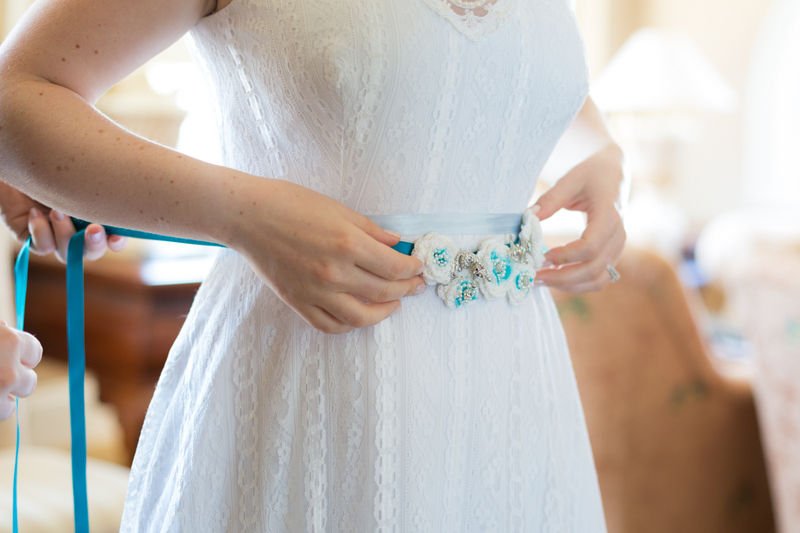 After losing her mother only a few years ago, Jamie chose to honour her memory and wear the dress that brought her many years of happy marriage. 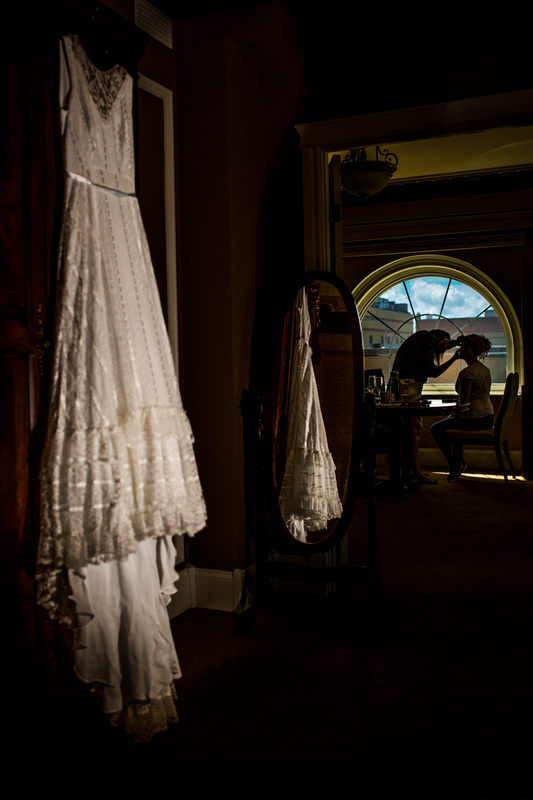 The wedding party spent the morning getting ready at the beautifully restored Grant Hall Hotel in downtown Moose Jaw. 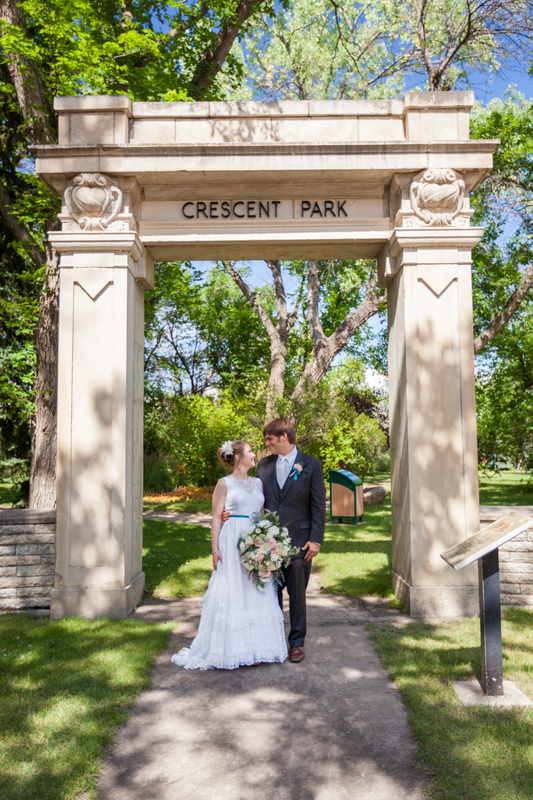 The hotel backs right onto the Crescent Park, where Jamie and Todd had their first look and later joined their guests for the wedding ceremony. 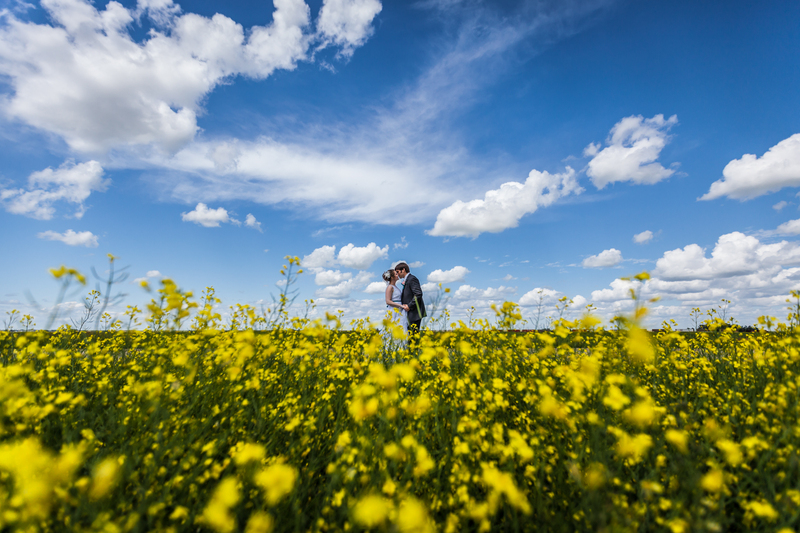 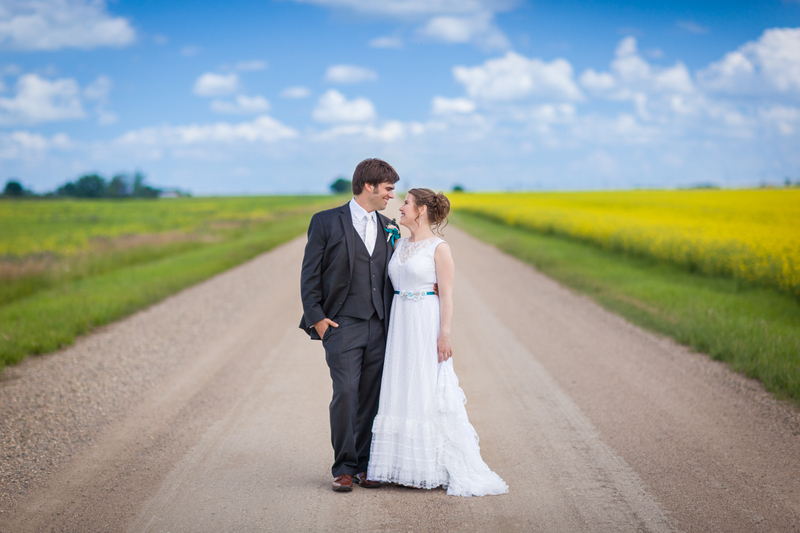 It was the perfect prairie day – bright blue skies full of puffy white clouds, long dusty gravel roads and endless fields of yellow canola. 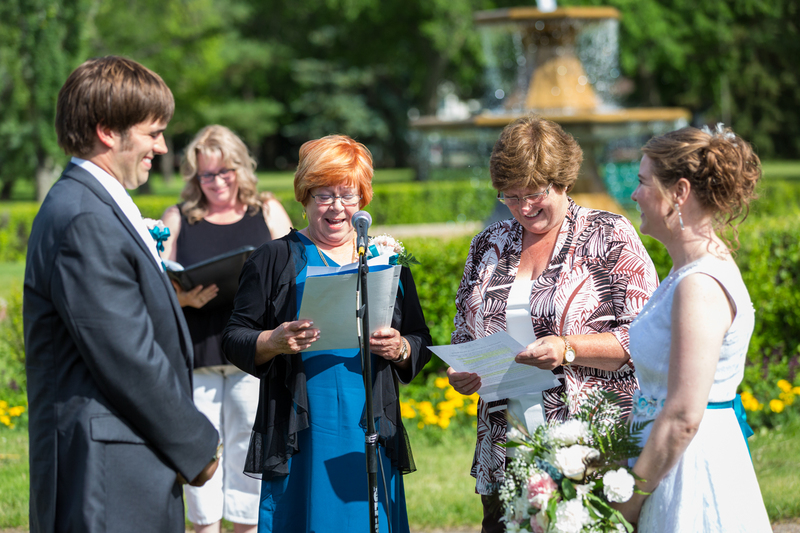 Under bright blue Saskatchewan skies Jamie and Todd recited their vows, took each other by the hand and were pronounced husband and wife. 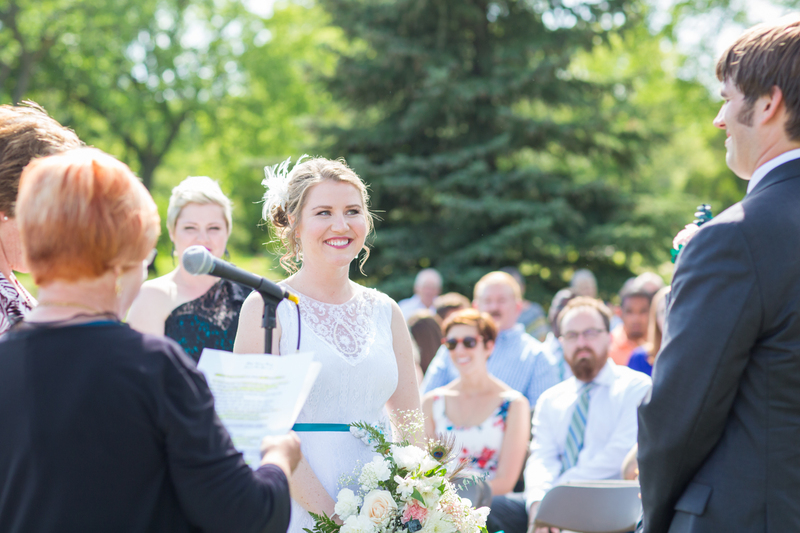 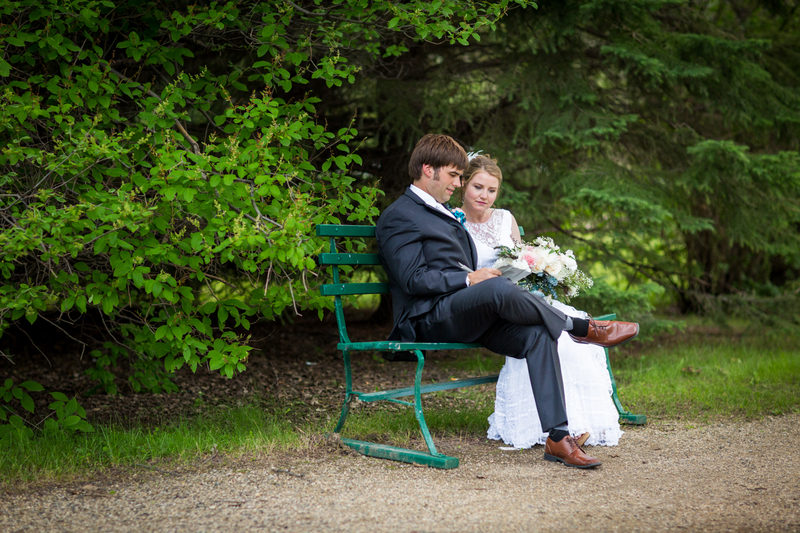 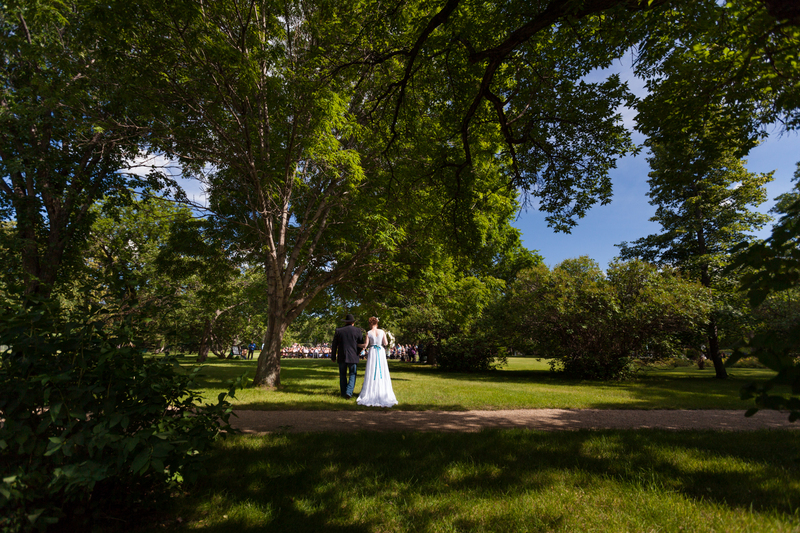 The short and sweet ceremony at Crescent Park was followed by a small private tree-planting unity ceremony for the bride and groom. 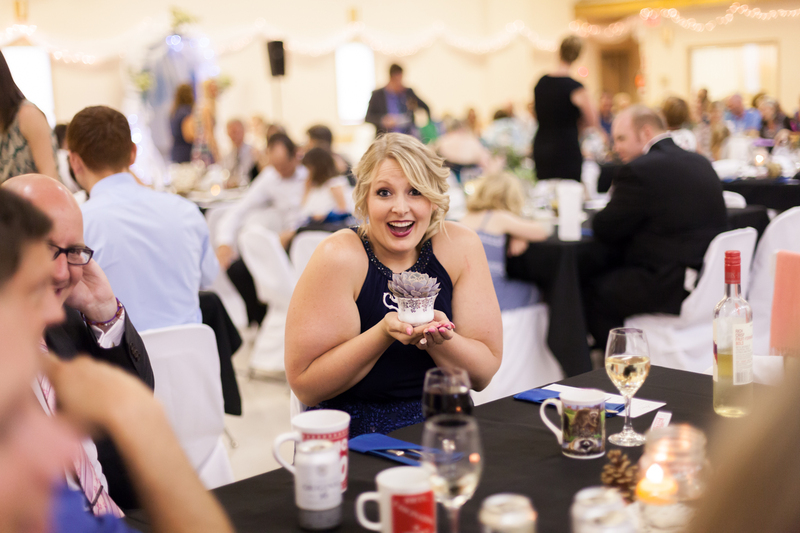 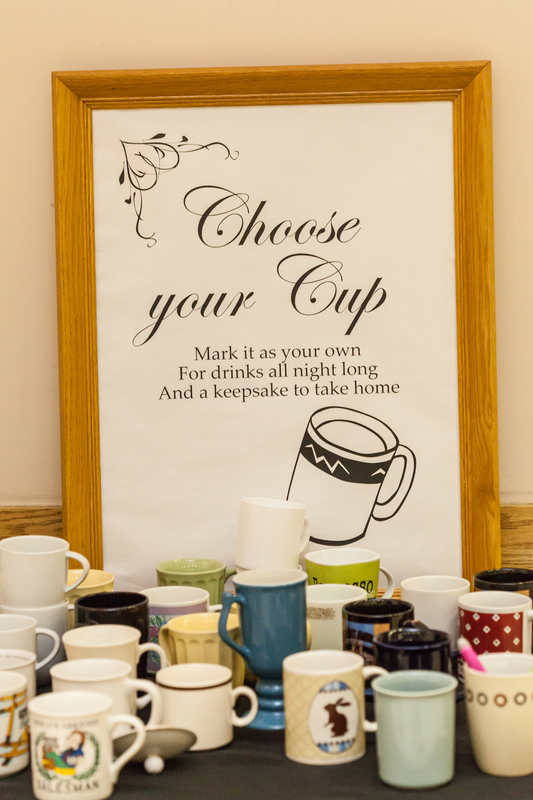 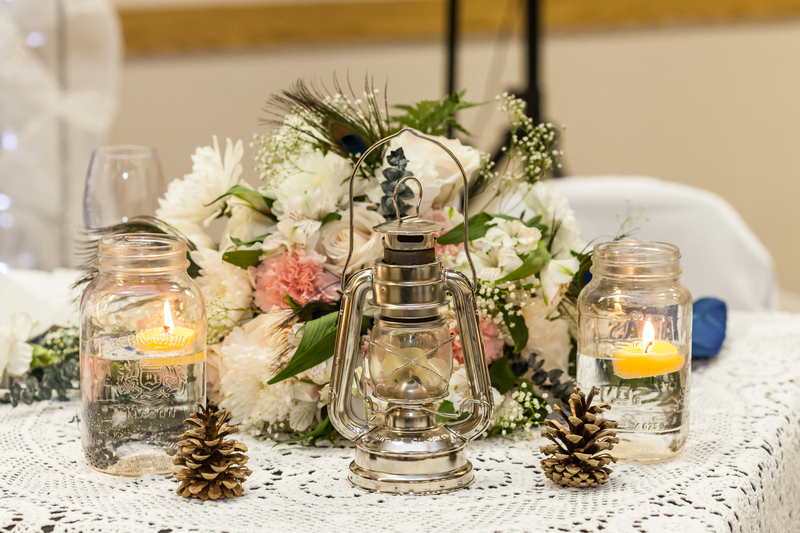 All of the crocheted details were handmade by Jamie, family and friends pooled their skills to create succulent center pieces and an epic Muggly-table which invited guests to choose their own drink mug for the night. 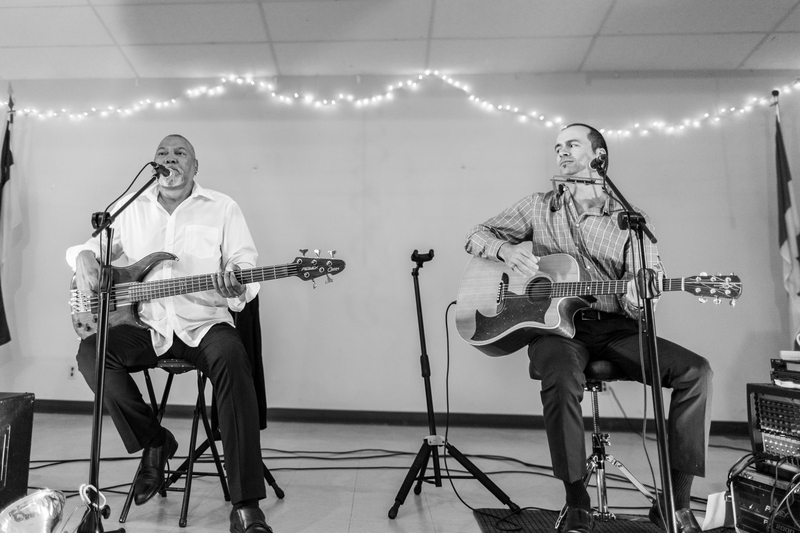 Guests were treated to a night of live music by a rocking blues duo. 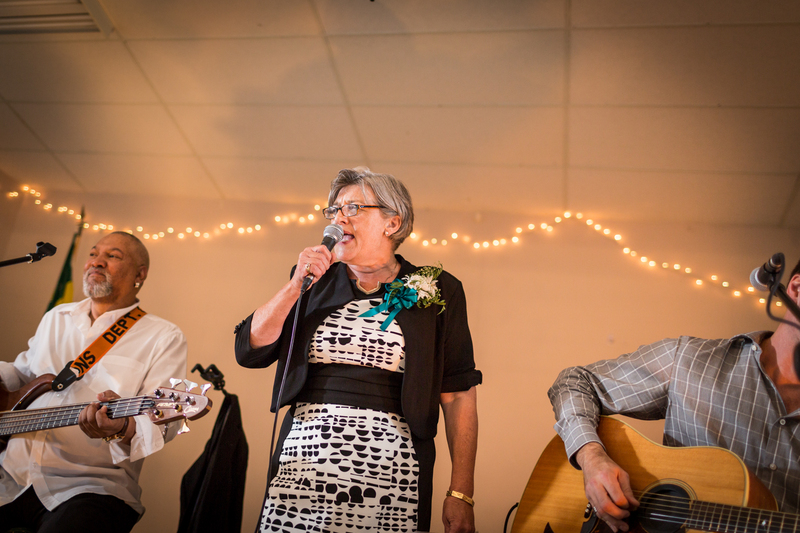 The mother of the groom (who is a musician herself) got the crowd on their feet with her soulful rendition of “Night of the Rising Sun”. 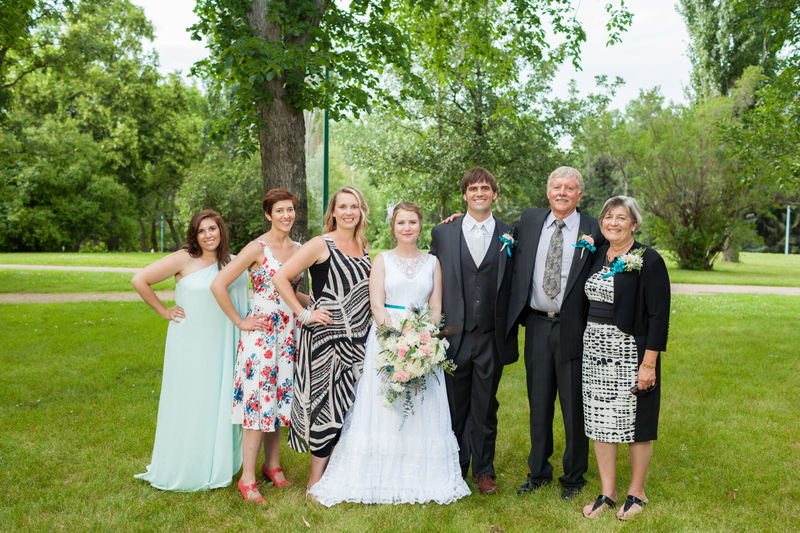 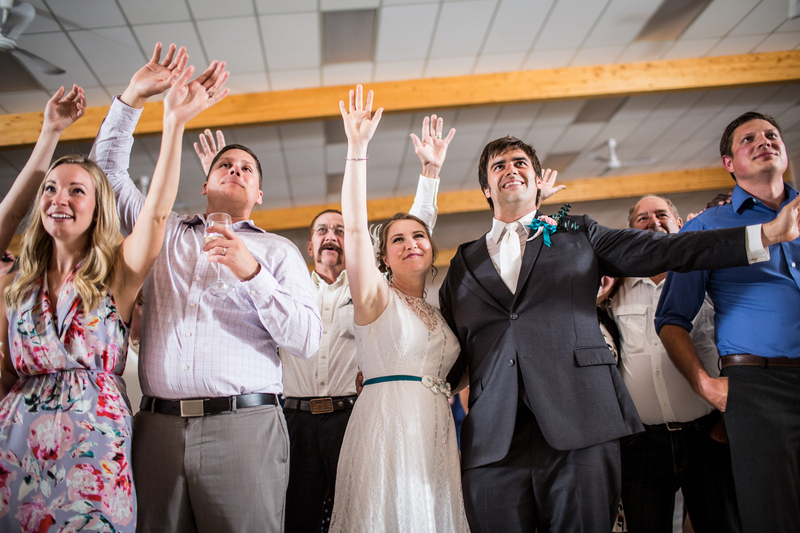 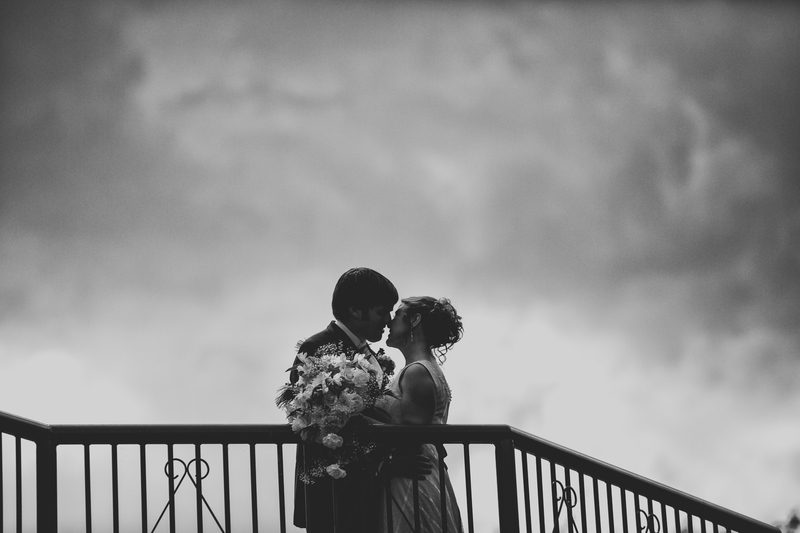 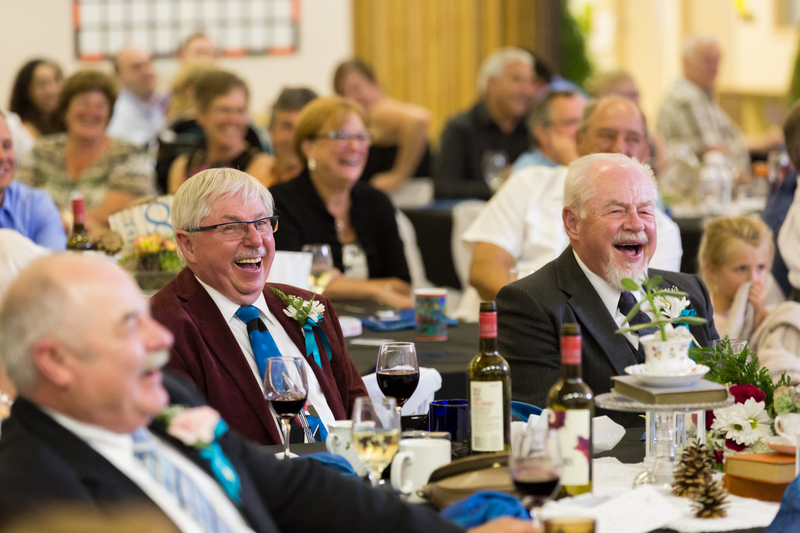 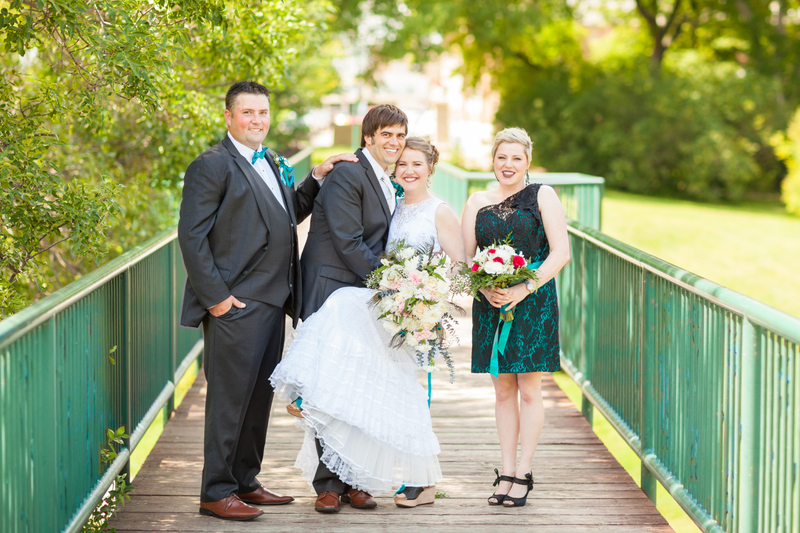 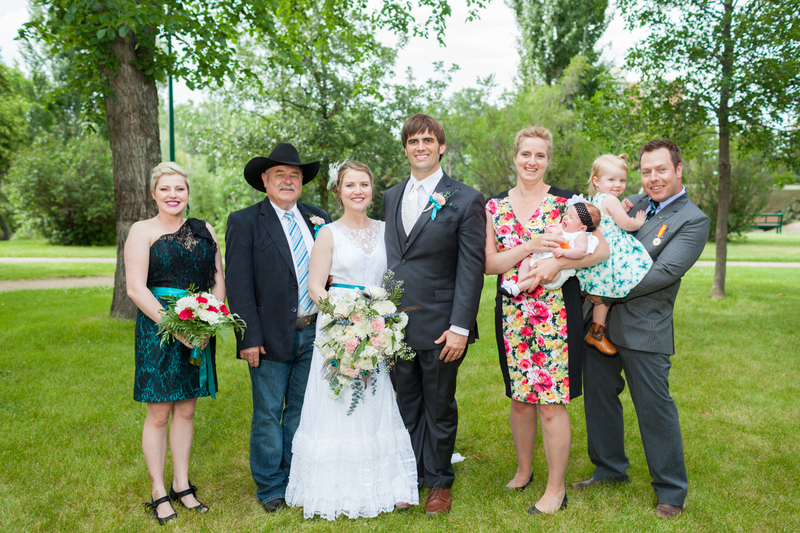 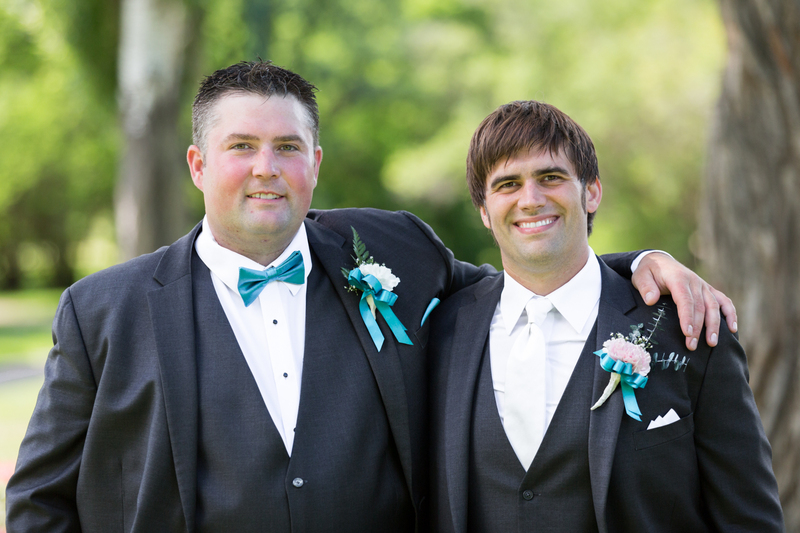 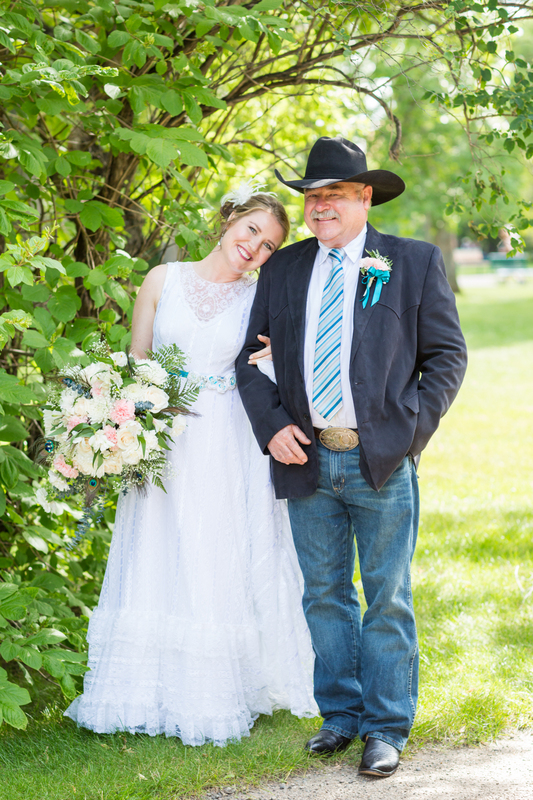 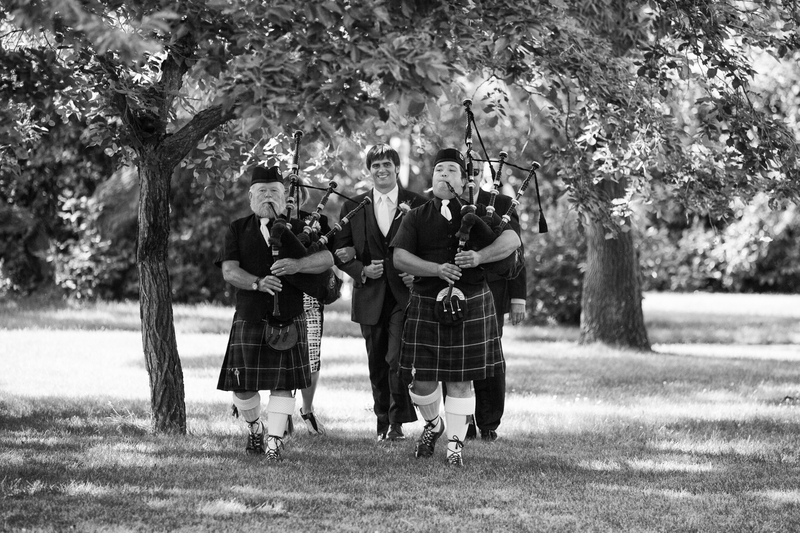 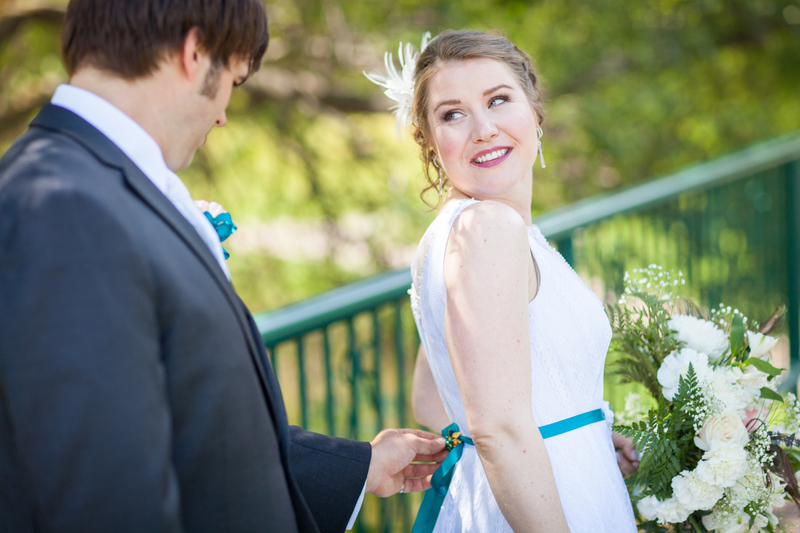 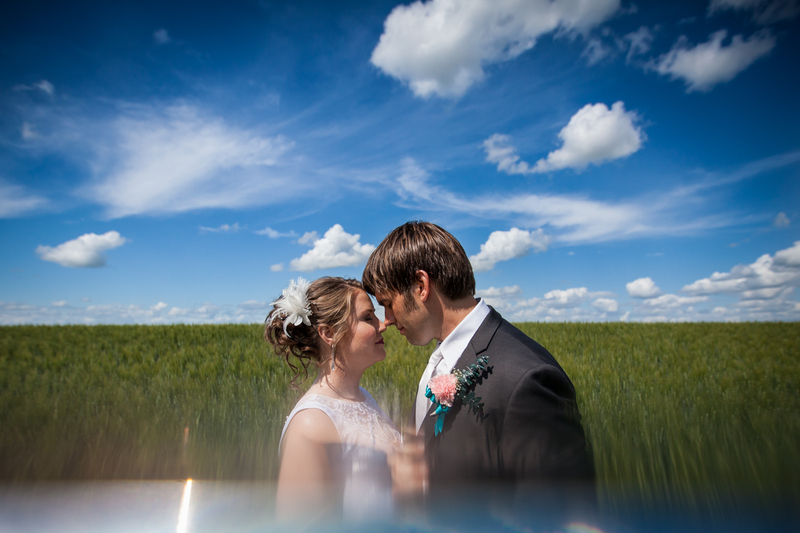 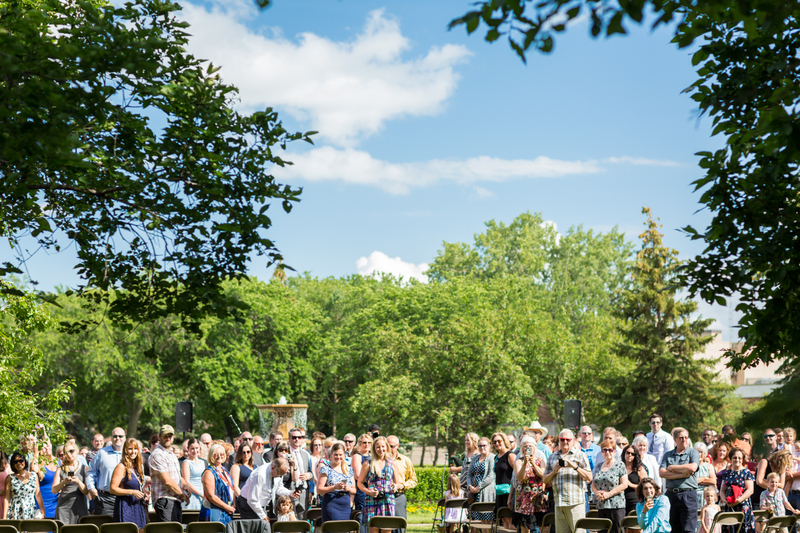 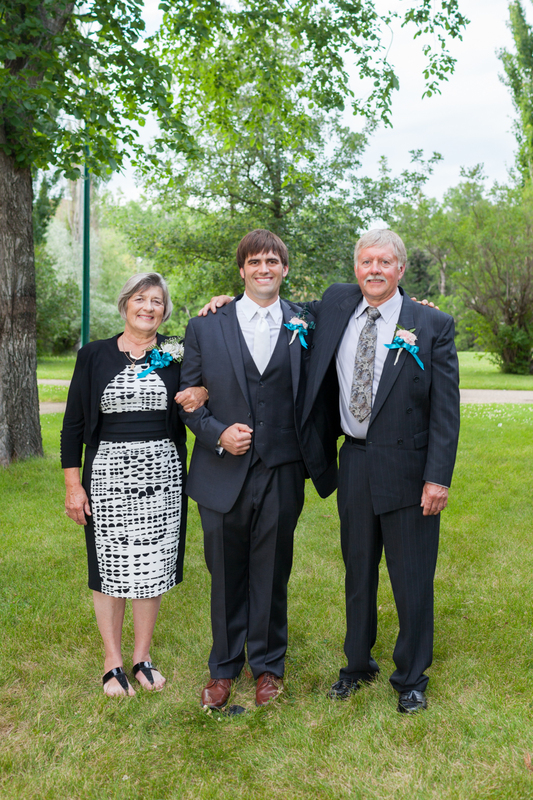 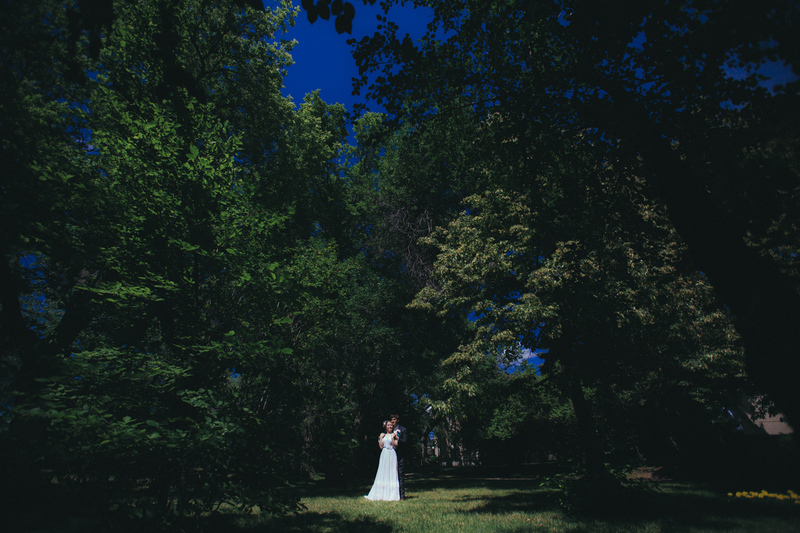 It was a beautiful Moose Jaw wedding for two of our very best friends. 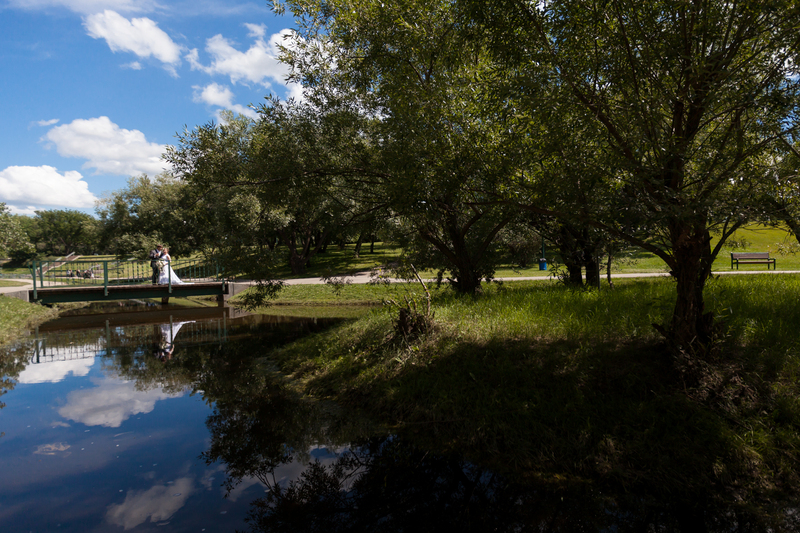 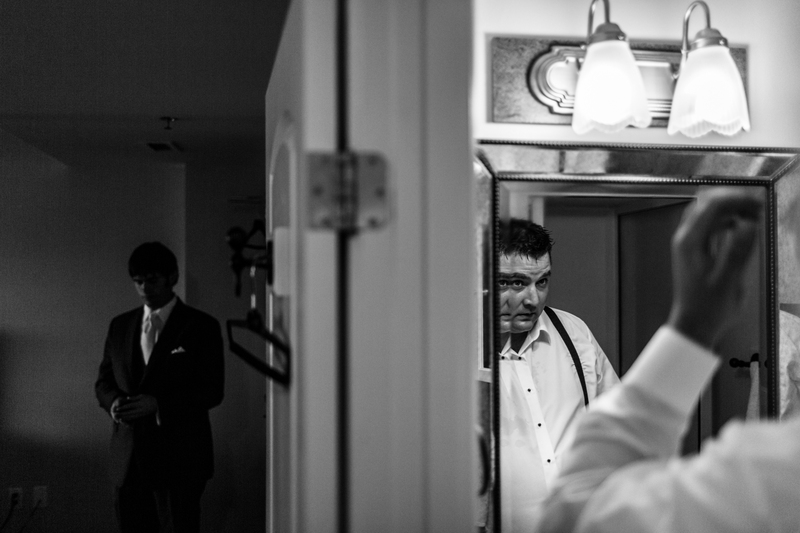 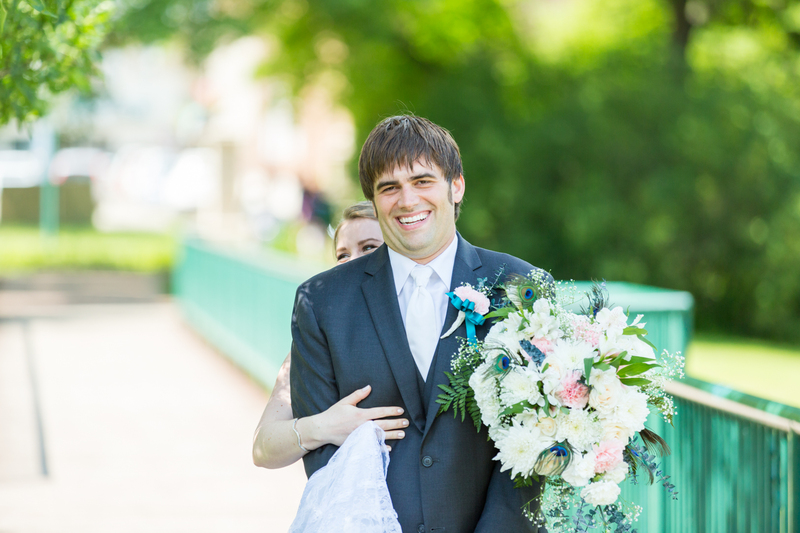 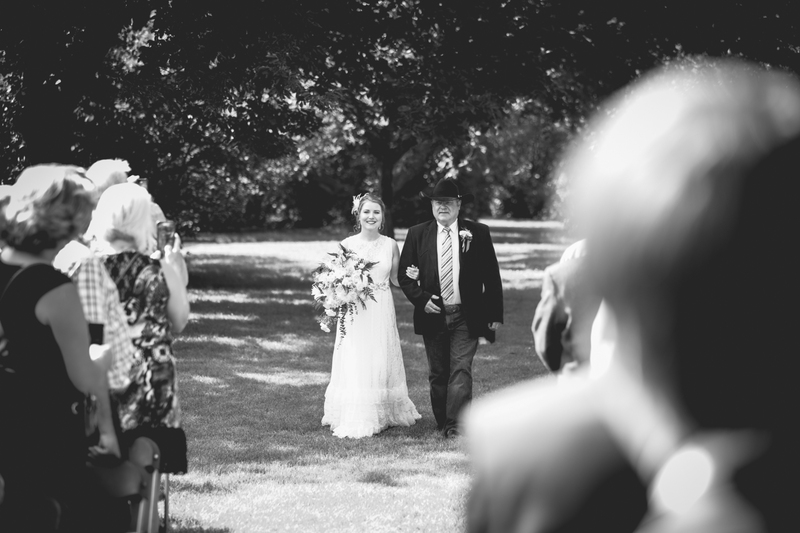 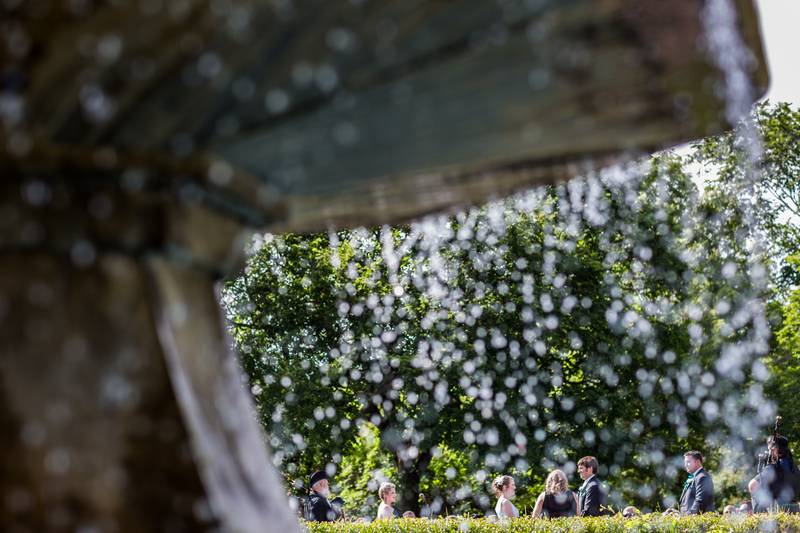 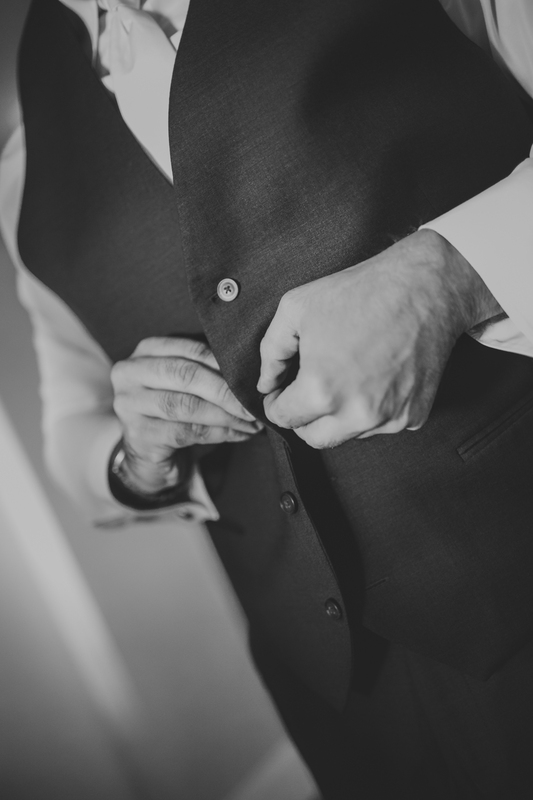 Thank you for inviting Deep Blue Photography to capture your wedding day, we could not be happier for you both.